Our very own Alex Willis is due to take part in the historic Paris-Roubaix cycling challenge this coming weekend! The professionals will race on Sunday, but Saturday gives amateurs the chance to ride the course. The 178km, with over 50km of that on the cobbles, should take about 6-6.5 hours for the amateurs to complete. Thankfully, there’s no rain forecast for the weekend in Northern France! Then, on Sunday, Alex will get to watch the professionals with some chips and a beer. Good luck Alex. Hopefully, you’ll come back injury free! We’re delighted to announce that Hilditch France is now open for business! 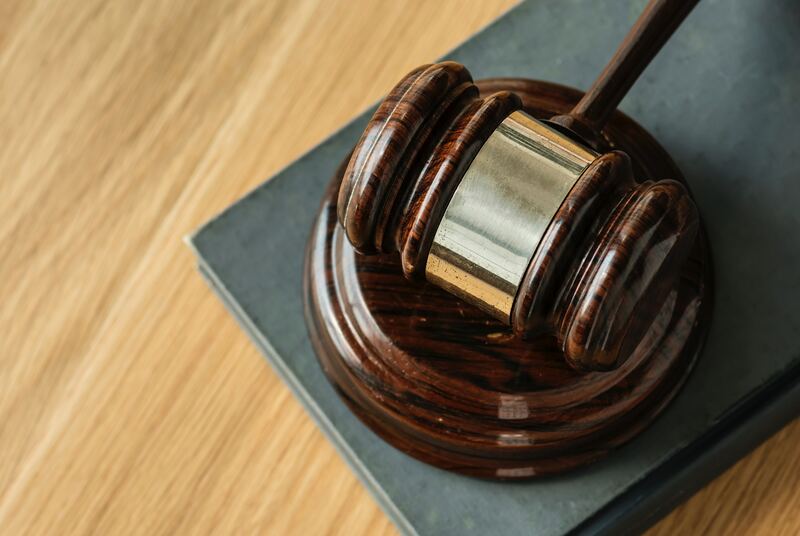 Headed up by Robert Lewis, Hilditch France is based in Paris and includes two official auctioneers affiliated with Drouot, ensuring the legality and compliance of the auction sales process. Joining Hilditch Iberia in Spain, and Hilditch Germany, Hilditch France is part of an ever-growing European presence by the Group. The French company has its own website at www.hilditch.fr where both vendors and buyers can find out more about Hilditch, request free valuations, register to bid and contact the company. Hilditch France is now helping many French hospitals with their medical equipment disposals, as well as attracting more buyers to benefit from the new operation. We look forward to welcoming many more new vendors and buyers to our fast-growing client base in France. On June 1st, four members of the Hilditch Group team will be taking part in the Trek the Night challenge. Trek the Night is a 40-mile midnight walk across the Cotswold Way. 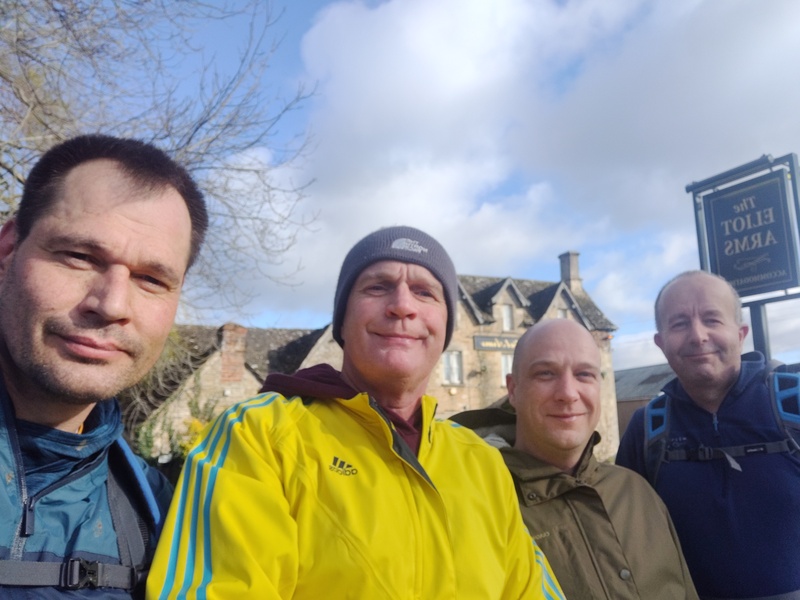 Rob, Andrew, Danny and Jamie will be donning their walking gear and lacing up their walking boots to raise money for Action Medical Research for Children. Action Medical Research for Children are a charity that seeks to help defeat diseases that devastate the lives for sick and disabled babies, children and young people. They have been battling since their inception in 1952 and have received support from thousands, including Paddington Bear! Training has already started for the walk as the team met up recently to practice. It only took them a mile to get lost but they eventually found their way. If you’d like to donate and help them reach their goal, you can follow this link. It will take you straight to the donation page. Thank you for the support! We’re proud to be sponsoring and exhibiting at the 10th anniversary of the EBME (Electronic and Biomedical Engineering) conference and exhibition in April this year. The EBME conference, which was first held in 2009, improves healthcare through the sharing and application of knowledge from experienced professionals involved in the management of healthcare technology. Following a rigorous assessment, The Hilditch Group has been awarded Cyber Essentials Plus, the higher of two government backed certifications to demonstrate IT security, protecting all information held within the business. The Cyber Essentials Plus certification process comprises remote and on-site vulnerability testing, proving to be a far more rigorous assessment than required for the basic certification. An off-site external assessment looks for vulnerabilities within the scope of external threats, workstations on-site are examined along with mobile devices for protection, encryption and access, and other tests mean that completion of the assessment can be lengthy. Holding this certification helps to prevent and minimise any potential cyber security breaches, and demonstrates to both vendors, buyers and business partners who work with Hilditch that the security of their information is taken extremely seriously. 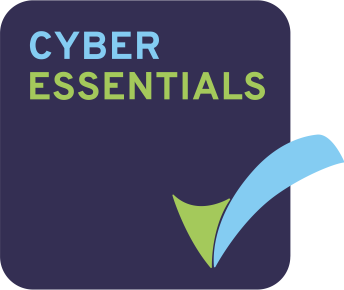 The Cyber Essentials Plus certification is mandatory for government contracting and is a recognised symbol for safe businesses in the United Kingdom, providing reassurance to all clients working with Hilditch that their data is secure. The Hilditch Team Keeps Growing! We have welcomed a new Trainee Auctioneer and Valuer at Hilditch HQ. Alex Willis joins us from the world of cycling, where he managed a ‘tailor made’ bike fitting service. Alex is passionate about customer care, and brings a huge amount of energy and charisma to Hilditch – he’s sure to be a great asset to the team! He’ll become a familiar face on sale days, ensuring that our sales run smoothly and efficiently. In his spare time Alex is a keen cyclist himself - he likes to compete in mountain bike competitions, and has previously represented Great Britain in triathlon. 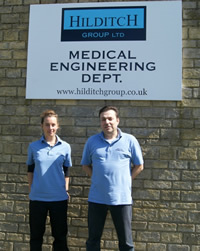 Hilditch Medical Engineering Keeps Growing! Hilditch continues to expand as we welcome another engineer to our ranks. Marcus Nicholson joins us after spending just over two years as a lab technician at a college in Bermuda. Marcus hails from Walsall and spent his university years at Swansea studying for a BEng in Medical Engineering, followed by an Msc in Nano Technology. Marcus is a lover of music and a talented musician. He can play the drums, guitar, bass AND sing. On top of his music love, Marcus is a keen writer and is currently in the process of writing his own novel. We want to wish happy holidays to all of our vendors and buyers across the world. Our final working day before the festive break is Friday 21st December. We will be closing our doors and enjoying a nice break before returning to Hilditch HQ on Wednesday 2nd January. During the break, there will still be various sales available for bidding on the website. Please head on over the sales area to take a look at what is available. If you’d like to be alerted as to when a sale is live, you can register for sale alerts here. Thank you to all for a great 2018, we hope to see you all again next year. The new year two-day medical sale starting on Monday 14th January 2019 will feature live webcast bidding on both days, making thousands of lots even more accessible to our buyers. We're also adding more webcast sales into the diary, and have an additional sale for nursing home equipment coming up, so watch this space. We understand that our buyers have busy lives, and sometimes find it difficult to attend sales in person. By allowing both sale days to be available online, we can make the entire sale more accessible and convenient for you. This means you will have more control over your bidding options and you won’t miss out on items if you aren’t able to visit. Webcast sales do tend to be faster paced than live sales, so please be prepared for speedy bidding and updates if you're taking part. The saleroom will still be open on both days for people who would like to bid in person and viewings can still be arranged prior to the sale. Auctions can be a hectic environment, so we’ve put together some points for you to consider before, during and after the sale day. So, whether you’re a seasoned bidder or a relative newcomer to the world of auctions, read on for a few handy hints. Research what you want to bid on before the auction begins. Sale days start at 10am, but we’re open from 8:30am. Get in early and have a look at the catalogue for the day, or just go online and have a look through the website. Items will be sold in order of lot number so you can keep track of which items are coming up. If you can’t make it to the sale, you can always follow the auction on our website. If you can’t do either, you can leave a commission bid and we’ll bid on your behalf. Don’t worry; we’ve got you covered for every eventuality. It’s also worth remembering that we regularly host online only sales on our website. Typically, online sales feature higher value equipment, and items that are being sold from the vendors site. If you’re bidding in an online auction, you’ll need to register. Registration information is available here. Online sales typically last at least a week, giving you more than enough time to get your bids in. You can also enter the maximum amount you are willing to pay and the system will bid on your behalf. Please keep an eye on your email, just in case you end up being outbid. 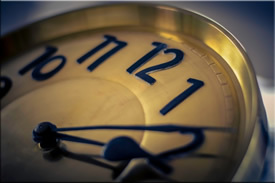 Don’t worry about someone outbidding just seconds before the auction closes as the system will extend the finishing time to allow others to get their bids in too. Before you win your item, it really is worth thinking how you’re going to transport it to where you need it. Medical, catering and even some general items are usually rather large and won’t just simply fit in the back of a car. Items need to be collected within five working days, so it’s worth having transport planning in mind while you’re bidding for an item. Items held by Hilditch for more than five working days will start to incur storage costs. We have a list of shipping companies on our website for those who don’t have a contact already. Now you should be auction ready. Remember, planning is everything. 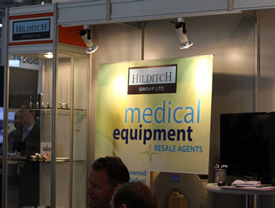 Buying Used Medical Equipment from Hilditch Just Makes Sense! Unlike other auction sites and web portals, Hilditch Medical Auctions offer buyers the chance to buy medical equipment that has been checked by our experienced medical engineers. All items at auction are sold as seen, but at Hilditch you can get added peace of mind by checking that the item has a full Condition Report, supplied by a qualified medical engineer. Hilditch offer a range of medical equipment, from anaesthetic machines and defibrillators to CT scanners and X-ray equipment. Whatever you’re buying, it’s reassuring to know it’s been checked. And that’s where Hilditch go the extra mile. Condition Reports are often available for medical equipment and can be requested prior to purchase, giving buyers additional information about the item they're interested in. We can even supply a condition report post-purchase and we recommend that if you are seeking this, that you contact our Sales or Engineering Department at your earliest opportunity. The Condition Report will detail the extent of the checks – it does not guarantee the equipment in any way. Please let us know if you are looking for a particular piece of equipment, and take a look at the full range available on our sale pages. Catering equipment is said to be the second largest expense of any food outlet – not surprising when you consider what the start-up cost for a new restaurant might be, and this will vary considerably depending on the size and type of restaurant that is planned. So how can these costs be reduced? The restaurant trade is challenging and extremely competitive, with new sites opening and existing sites closing on a daily basis. This churn in the hospitality trade makes it possible to access some great products at auction. Buyers can benefit from being able to purchase goods which might previously have been outside of their budget, accessing catering equipment which is in perfect working order – anything from an industrial mixer to a professional coffee machine. At Hilditch we often have items available which are previously unused, such as pan and cutlery sets, and a wider offering such as furniture and storage kit. Come and See Us in Berlin! 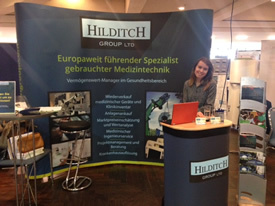 Hilditch are exhibiting at the Beschaffungskongress der Krankenhäuser in Berlin this week. Olga Zachary and Keeley Vernon will be happy to welcome you to the Hilditch stand to discuss your medical equipment, and will be at Hotel de Rome on 5th and 6th December. 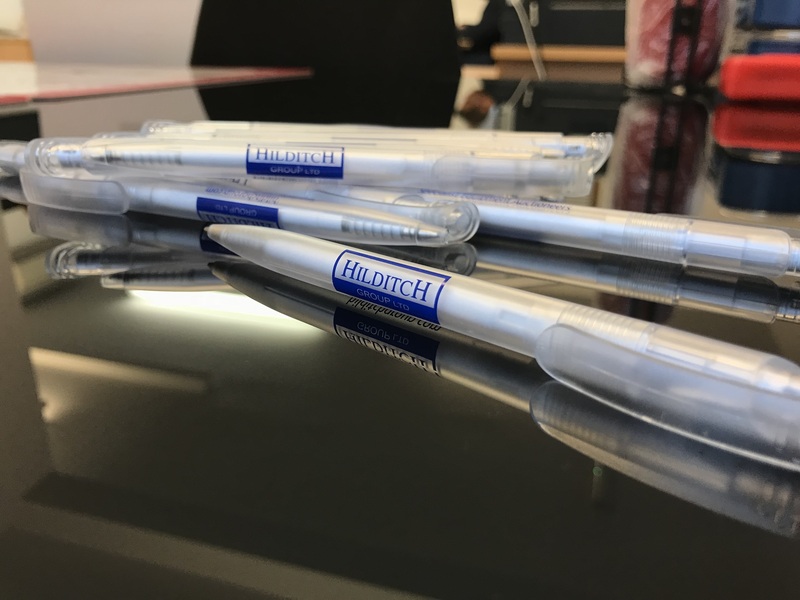 Hilditch have donated a box of our freshly designed pens to the GL11 Community Hub. These pens will come in handy for the organisation, that is looking to seek out responses to their feedback forms. Hopefully, these responses will provide GL11 with vital information about their services. GL11 offer a wide variety of services to the community. These range anywhere from seated yoga sessions, to tablet computing. They run sessions for families as well as individuals and more information can be found at http://www.gl11.org.uk/. When you're over there, be sure to check out their autumn what's on guide. It'll give you everything you need to know about their upcoming events. Sponsored by Hilditch, our intrepid Accountant Rhiannon and friend Jodi took on a challenging climb this month. 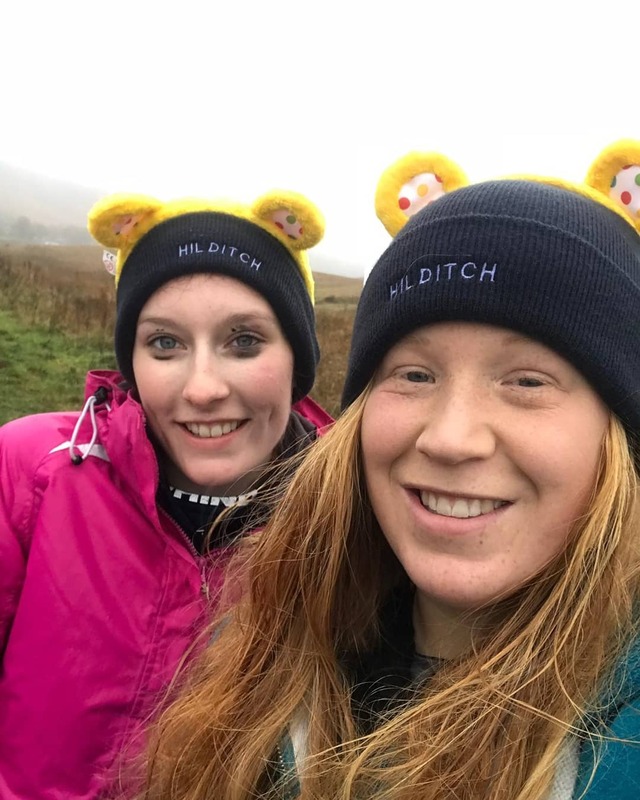 Fundraising for Children in Need, Rhiannon and Jodi set off to scale the heights of Pen y Fan in the Brecon Beacons National Park. The weather closed in and unfortunately, Rhiannon and Jodi were forced to return to base before they could reach the summit – the wind and fog made staying upright and visibility very tricky! Rhiannon and Jodi won’t let a small set back put them off the challenge – they have already committed to completing it in April 2019, so watch this space. Congratulations for taking on the challenge and raising money for such a good cause! 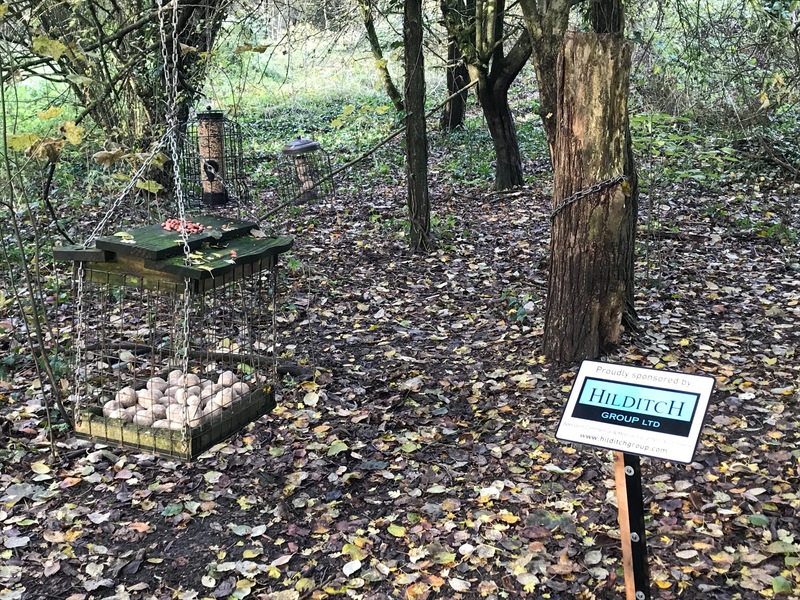 Hilditch are really proud to announce that we are sponsoring the bird feeding stations at Conygre Mead for Malmesbury River Valleys Trust. We are always looking for new ways in which to help our community and sponsoring the bird feeding station will allow for our local aviary population to continue flourishing. Staff from Hilditch will regularly be visiting the stations to refill them. Hopefully, the birds of the area will benefit over the colder winter months. 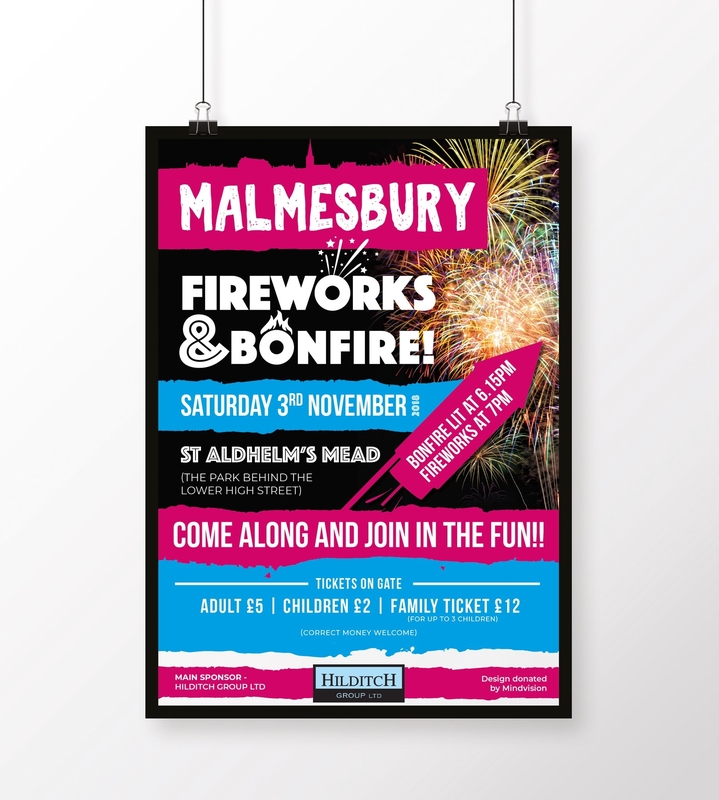 For the third time, Hilditch are sponsoring the Malmesbury fireworks display which is being held at St Aldhelm’s Mead. It promises to be an enjoyable occasion for all. The date for your diaries is Saturday 3rd November. Proceedings will kick-off at 6:15pm with the lighting of the bonfire by our very own Andrew Metcalf. The fireworks are expected to start around 7:00pm. Tickets can be purchased on the door. We’re looking forward to seeing you all there. 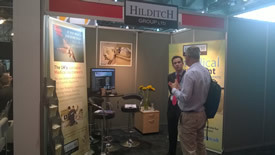 Hilditch are pleased to be exhibiting at this year’s London Vet Show at Excel London. This event is Europe’s largest veterinary exhibition and this year, the show is bigger than ever. We’re lucky enough to be showing over both days on Thursday 15th and Friday 16th November. Please come and visit us at stand G42, situated in the heart of the main hall. We're excited to see you there. Hilditch are looking forward to exhibiting at Procurex Wales 2018 on 8th November. This event is Wales’ Premier Public Procurement Event of the Year, and promises to be a great opportunity to meet with existing and new contacts from public procurement in Wales and beyond. You’ll find us on stand 86 as you enter the exhibition – we look forward to meeting you there. Hilditch Sponsors Winning Rugby Club! 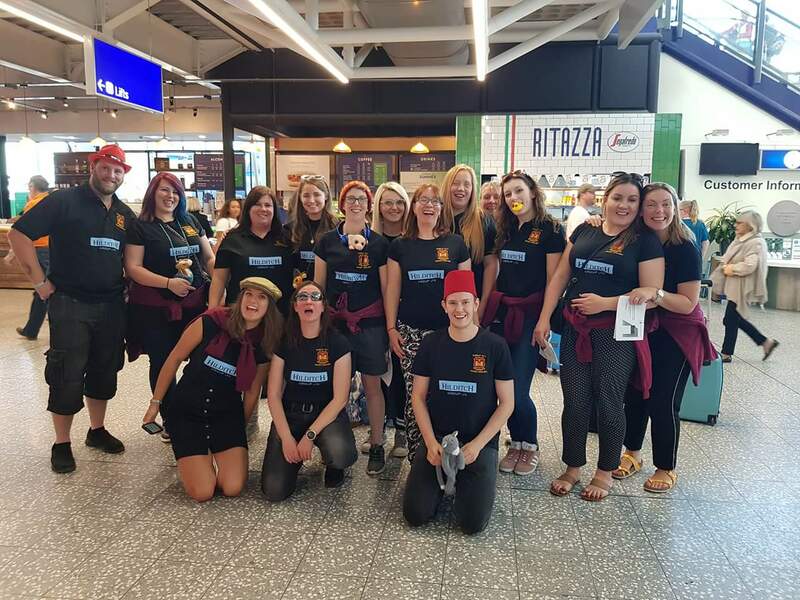 Dursley Ladies Rugby Football Club triumphed as overall winners in the ladies category at the Barcelona Rugby Festival in Spain last week. The team, sponsored by The Hilditch Group Ltd, beat tough international competition, finishing first overall. Rhiannon Smith, a member of the Accounts team at Hilditch, plays in the all-important fullback position in the team, and commented on the intense competition in which over 1,000 players took part “it was fantastic to compete in the festival, and even better to win! All the team are delighted – we couldn’t do this without the kind support of our sponsors”. Congratulations to Rhiannon and the rest of the team! Click here for more information about the festival, and Dursley Ladies Rugby Football Club. Hilditch France will be exhibiting at the 23rd Exhibition of Biomedical Engineering in La Rochelle in France next week - spreading the word about Hilditch and the services offered. Two representatives from Hilditch will be on hand to discuss how we can help vendors and buyers in France to get the best value from their equipment - we hope to meet many new contacts and build upon existing relationships. Hilditch are committed to ensuring that their systems are fully guarded against common cyber threats. This not only applies to the systems themselves, but also the way in which the teams at Hilditch operate within these systems. The commitment to protecting the Hilditch Group against cyber-attack has been demonstrated and acknowledged by achieving the Cyber Essentials Certificate, awarded by the Government’s National Cyber Security Centre. Vendors and buyers alike have always been reassured by the measures that Hilditch takes to protect their data, and this is now formally recognised through the certification. This, along with our commitment to Information Governance and high scores achieved for the NHS Information Governance Toolkit, make Hilditch a safe choice for both vendors and buyers alike. At the 2018 Clinical Engineering Conference organised by the NHS National Performance Advisory Group, Hilditch were out in force, strengthening relationships with healthcare attendees from across the UK. Barney Greig, Andrew Metcalf and Hugo Hilditch attended, meeting many new contacts and strengthening existing relationships within the NHS. The September conference, held in Wolverhampton, was a fantastic opportunity to get in front of this audience and demonstrate the value of working with the Hilditch Group. On Saturday 1st September 2018, Team Hilditch joined in with the annual Malmesbury Carnival procession with their float entry ‘Hilditch Around the World’. 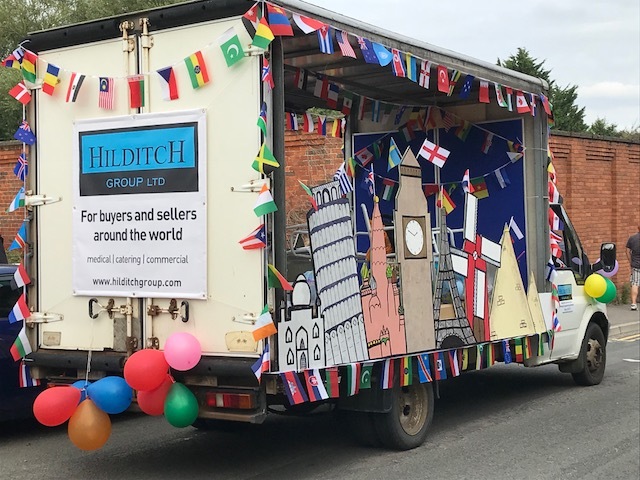 The Team showcased their entry of a float decorated to depict various landmarks around the world, and dressed in outfits from different countries – representing the varied nationalities of buyers and sellers that Hilditch works with. The team were joined by family members, creating a great atmosphere for all. Besides being the main sponsor of the Malmesbury Carnival, the Hilditch Team collected money during the carnival procession for local good causes, giving back to the community in which the business, and many of the team members live. In a bid to continually improve service to buyers, The Hilditch Group have launched a new Live Webcast platform. 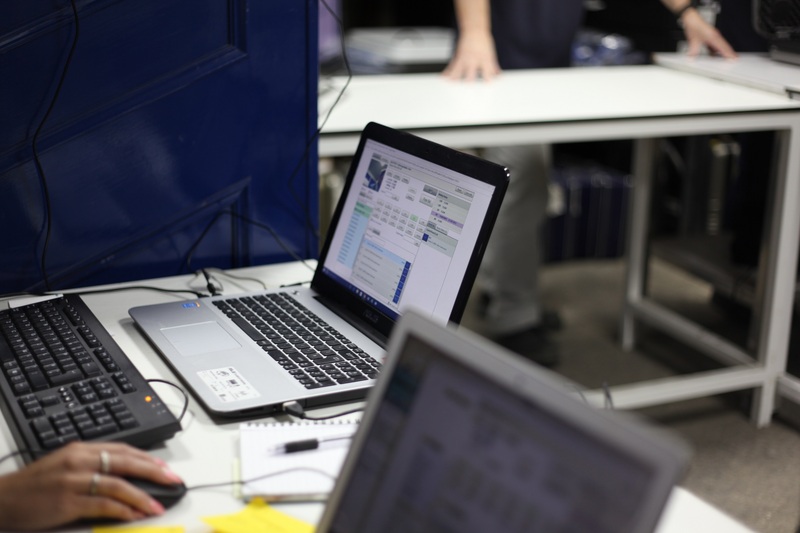 The Webcast system is widely used amongst buyers, particularly when they are unable to attend the Saleroom in person. Bids can be placed during the Live Webcast, and are placed in real time along with bids from Saleroom attendees, where every bidder is able to see the auctioneer and track the bidding process as it happens. This improved version was available for use from August 2018, with buyers enjoying an improved bidding experience, with a speedier and more efficient process. With two main webcast auctions each month, one each for medical equipment and catering and hospitality equipment, buyers have regular opportunities to take advantage of the key sales, and bid on exclusive lots. Hilditch are delighted to be sponsors of the annual Malmesbury in Bloom event, supporting the town where the headquarters are based. 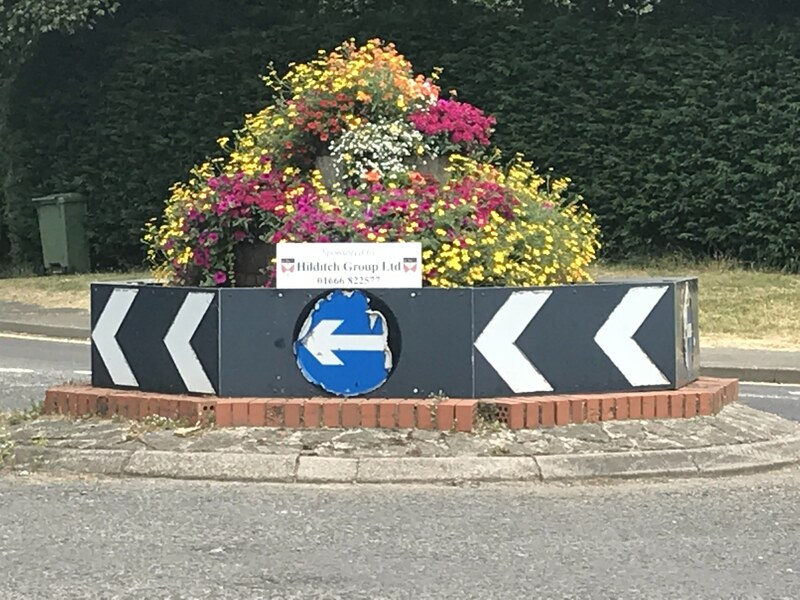 This year sees a stunning display of flowers right across the town, from roundabouts to flower baskets and dedicated areas of colourful flowers and plants. The event provides enjoyment for locals and visitors alike each year, complementing the already scenic town which is popular with tourists. Danny O’Brien, Online Sales Supervisor at Hilditch, has recently been awarded certification validated by IOSH, the Institute of Occupational Safety and Health, for ‘Managing Safely’. 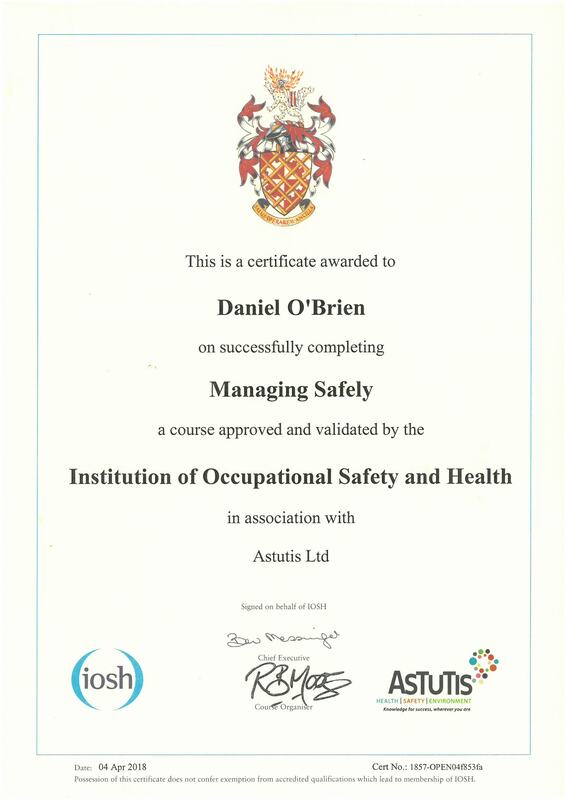 IOSH Managing Safely is a risk management health and safety certificate allowing managers to demonstrate their understanding of the practical actions needed for the health and safety of their teams. This certification supports the commitment of Hilditch to health and safety standards and demonstrates recognition of the importance it plays in the workplace. The Hilditch Group App is Live! 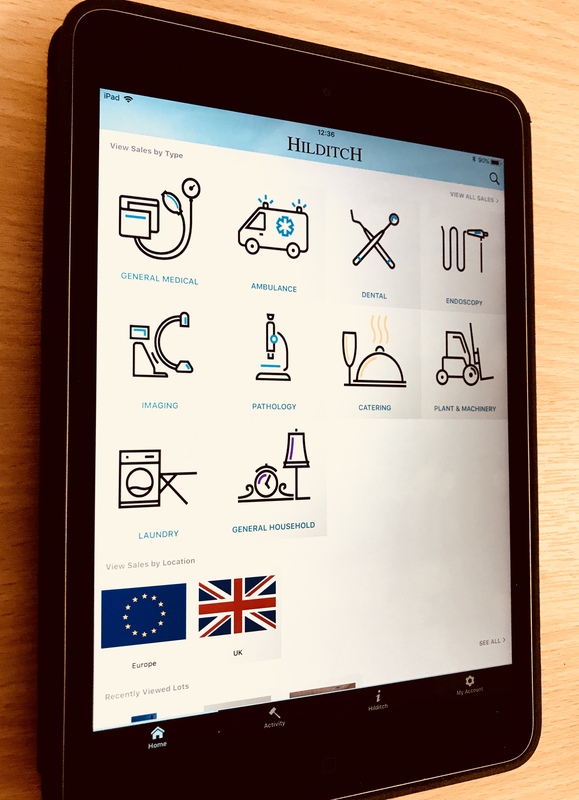 With service to our vendors and buyers at the heart of everything we do here at Hilditch, we’ve developed an App to showcase available lots to buyers on the go. This new innovation sets us apart from competitors, strengthening our reputation for streamlining the process of asset disposal and purchase, and making information more easily accessible to all involved. The mobile app makes it simple for vendors to track the sale of products and allows users to sign in and effortlessly select a sale category. Users are then able to search lot listings, bookmark and ‘watch’ lots to monitor progress, and bid online. Along with ‘Watched Lots’, ‘Recently Viewed Lots’ can be seen in the Activity tab, and additional information can be found in the Hilditch Information section – these options, along with Account information, are all accessible using the menu bar at the foot of each page. Please take a look at the App and let us know what you think – we’d love to hear your feedback. Hilditch works with the majority of NHS Hospital Trusts throughout the UK, and since its inception in 1990 has built a reputation for responsible data management. As the market leader in the resale of medical and healthcare assets, we treat the identification and wiping of any residual patient and confidential data with the utmost care. Since February 2016, we have consistently achieved an extremely high score for compliance with The NHS Information Governance Toolkit - a Department of Health (DoH) Policy delivery vehicle that the Health and Social Care Information Centre (HSCIC) is commissioned to develop and maintain. The toolkit draws together the legal rules and central guidance set out by DoH policy and presents them in in a single standard as a set of information governance requirements. Assessments are available online for anyone to check. The NHS has stringent procedures in place with regards to the handling of patient data and sensitive information, and the IG Toolkit accreditation assures them that we, as resellers, abide by their strict code of conduct and reflect those stringent procedures. We are proud to say that Hilditch meet required criteria and are able to provide this reassurance to NHS Trusts who wish to sell equipment. Our commitment and participation in The NHS Information Governance Toolkit sets us apart from competitors and offers peace of mind to vendors, making Hilditch a preferred service provider to the NHS. 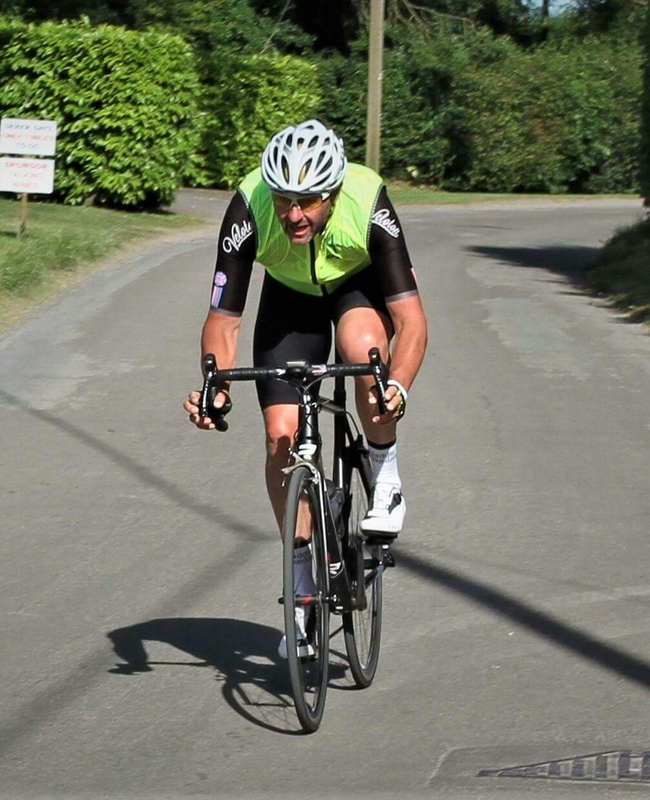 Nick Lockett, one of Hilditch’s professional drivers, has completed a 24-hour bike ride as part of a team to raise funds for his local community. A total of 75 laps of almost seven miles each were completed in 24 hours - the highest number of laps in the events 27-year history. Tetbury Velos cycling club raised over £2,000 for a local community centre and school, to benefit young people in the area. While this was a team effort, one member chose to cycle individually and completed 40 laps, the equivalent of 268 miles! Hilditch were proud to provide sponsorship support to Nick and his team, and congratulate them on their achievement, cycling on one of the hottest weekends of the year. The Amalthea Trust is seeking two volunteers to provide training in two separate projects. One engineer is needed to train engineers at The Ugandan Blood Bank in Kampala on the servicing of basic laboratory and pathology equipment, with another engineer required to Train The Trainers at a University in Ethiopia on ultrasound and anaesthesia. Each of these courses run for two weeks in total - with a possibility to split the training into two, one-week courses if timing is an issue. The courses are due to take place mid-end July 2018. The Trust’s work really does help to change lives for the better – providing much needed skills to communities who are in great need of reliable, properly maintained medical equipment to help deliver health care directly to those who need it most. For more details, visit the Amalthea website and take a look at Current Projects. Whilst on the site, take a look at the Volunteering video and have a read of the feedback the Trust have had from some of their NHS engineer volunteers, it really is a life affirming experience! Hilditch have recently achieved Medical Industry Accreditation (MIA). This means that, for our work with the health care sector, our engineers hold ID cards to show they are qualified and professionally trained to work in the clinical environments of private and NHS hospitals nationwide. This accreditation sets Hilditch apart from other service providers in our field and gives assurance to healthcare professionals that suppliers are properly trained and qualified for attendance on-site. The external training courses that make up the scheme have been fully accredited by established bodies including the Association for Perioperative Practice, Royal College of Nursing and BTEC. The Hilditch Group’s commitment to vigorous levels of compliance enables NHS Trusts and hospitals to act with confidence when selling used medical equipment. 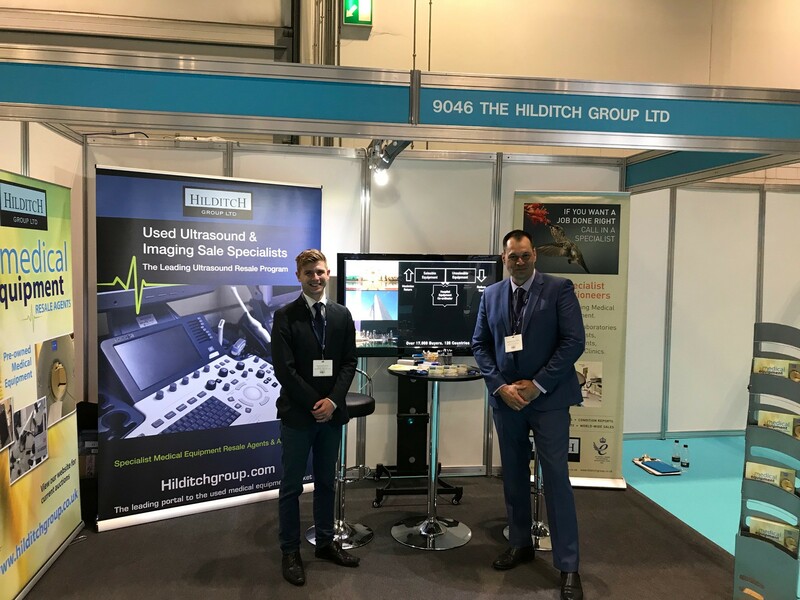 Exhibiting at the UK’s dedicated trade show for medical imaging professionals and senior management teams, Hilditch are once again showcasing how it can provide solutions to this group of professionals. 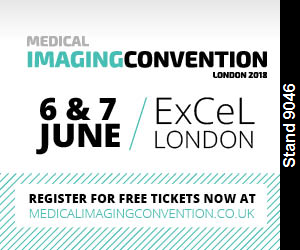 The Medical Imaging Convention is the UK’s dedicated event that offers a comprehensive program on the latest innovations in imaging diagnosis and treatment to UK-based medical imaging professionals and their senior management teams. The event provides the most up-to-date research, data and developments that can enable better patient outcomes, efficiency and cost-effectiveness in UK medical imaging. Hugo and Andrew would love to welcome you to the Hilditch stand. It's World Environment Day, and there is a lot of coverage about the problem with plastic. Though that's not the only material that we should be looking at. The Hilditch Group Ltd facilitate the reduction of medical and commercial equipment waste, promoting re-use of products and re-cycling wherever possible. 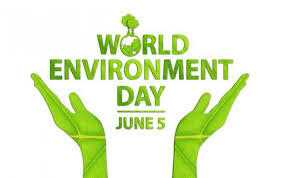 So, customers and vendors who deal with Hilditch are not only taking care of their budgets, they are also taking care not to provide additional environmental burden and stress. Take defibrillators for example – older bulky models are replaced by smaller, modern kit, yet the original models still save lives, and do the job they’re meant to do. Large equipment such as mobile C-Arm imaging devices – the list goes on. Hilditch manages the sale of older models to create a revenue for the vendor and allows buyers to purchase products which may otherwise be beyond their budget. 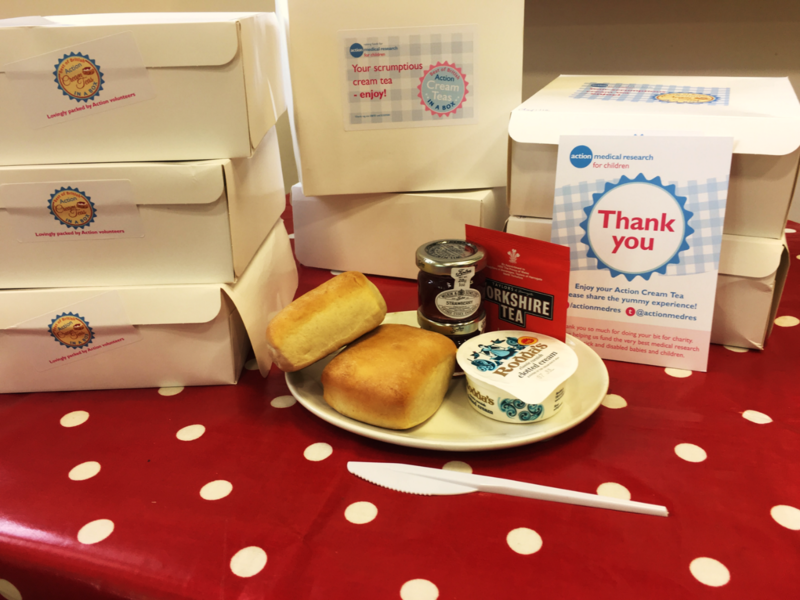 And it’s not just medical equipment – the resale of catering products allows downsizing business to help recoup their spend, and new businesses working within a tight budget to get their venture off the ground. The process is good for the seller, good for the buyer, and good for the environment by helping to divert products away from landfill. Reduce, reuse, recycle – good for all. The Hilditch team are visiting Paris Healthcare week on Wednesday 30th and Thursday 31st May 2018 – Joanne Clark and Robert Lewis would be happy to meet and have a chat about your medical equipment requirements, whether you're selling or buying - just let the sales team know at sales@hilditchgroup.com and we’ll get back to you. The Hilditch Group are sponsoring James Smith, Online Sales Cataloguer, for the 2018 cricket season where he plays for Royal Wotton Bassett Cricket Club. 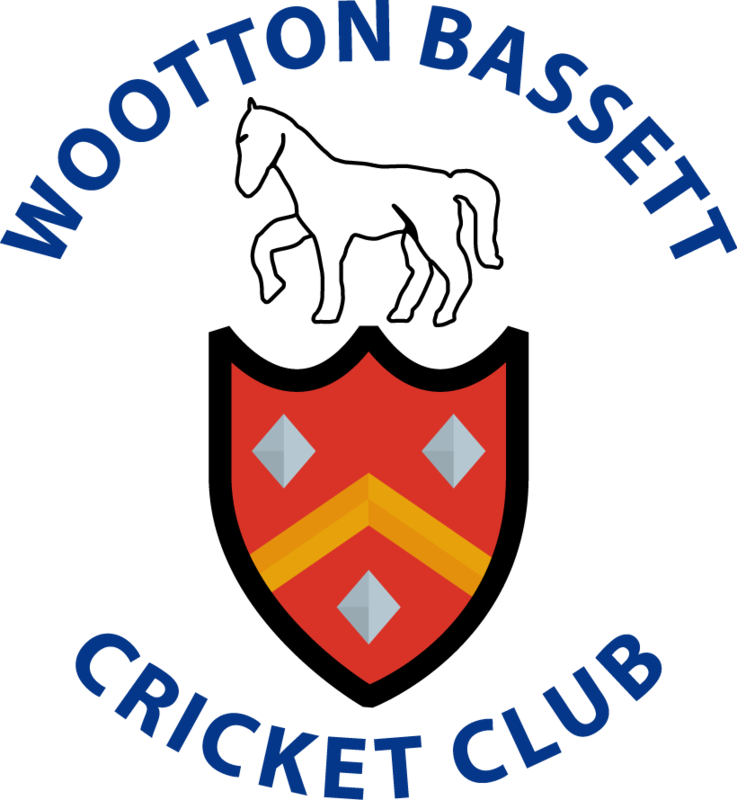 Royal Wotton Bassett have a first team which play cricket in the Wiltshire Division of the West of England Premier Cricket League and are a very well-respected team. James plays in the third team, which is in division six of the Wiltshire Cricket League – he also occasionally plays in the second team, in division five. He is a very keen cricketer and all-rounder; batting in the top five, keeping wicket and occasionally bowling the odd over or two. James is also highly involved in the club’s youth coaching set up, which helps bring on youth players to develop their skills and play senior cricket, opening up cricket to a wider audience and helping to secure the future of the club. Hilditch Group Ltd are proud to be exhibiting at the 8th National Conference for Radiology Managers (NCRM) on 24th May this year. Philips and the Society and College of Radiographers are collaborating to deliver the conference, bringing together radiology managers and clinical directors. A series of lectures and debates will centre around the theme “Leading the Way: bringing your workforce with you”. Hilditch will be exhibiting as part of a full networking exhibition of companies who provide solutions and support to the imaging community, which is running alongside the programme. With our depth of knowledge and years of experience working with radiology and clinical professionals, Hilditch is able to provide a host of solutions to assist the function. 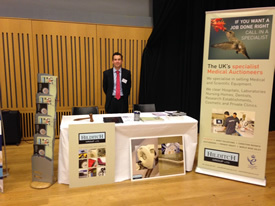 The conference is free to attend and we look forward to welcoming visitors to our stand. The Hilditch Group are proud to once again support, and exhibit at, the EBME Seminar 2018. 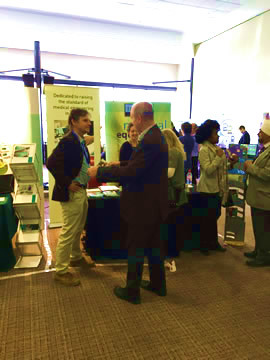 With over 27 years trading and relationships with the majority of NHS trusts, we always enjoy meeting with all the familiar faces at the seminar. Do please call past the stand to discuss how we can assist you in the sale of your medical assets, or just to say hello. We work with the NHS as an impartial sales agent in the valuation and sale of used medical devices and imaging systems, and work closely with NHS Trusts to provide advice and market commentary. The EBME Seminar brings together a great community of healthcare professionals that are responsible for the management of medical equipment, and the supporting industry for a day of learning about new developments and networking. The Amalthea Trust will also be represented on our stand. Amalthea’s objectives are to help provide for the sustainable maintenance of medical equipment through the provision of training programmes for the recipients, including test equipment and workshop facilities. Do please call past to discuss the charity's work - they are always looking for volunteers to train engineers in their programmes or to assist the charity. For more information on our services contact us today on 01666 822 577 or email sales@hilditchgroup.com, or come and see us at the EBME Seminar. 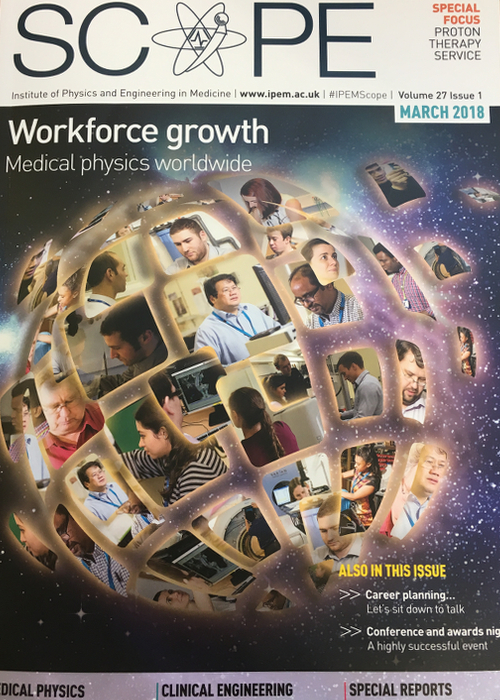 Great to see our medical engineering department in the spotlight - in the current issue of Scope, the membership magazine for the Institute of Physics and Engineering in Medicine (IPEM). Revealing why we’re so much more than an auction house, this feature highlights our unique capacity to improve upon the market value of used medical equipment, as well as manage and maintain these assets. 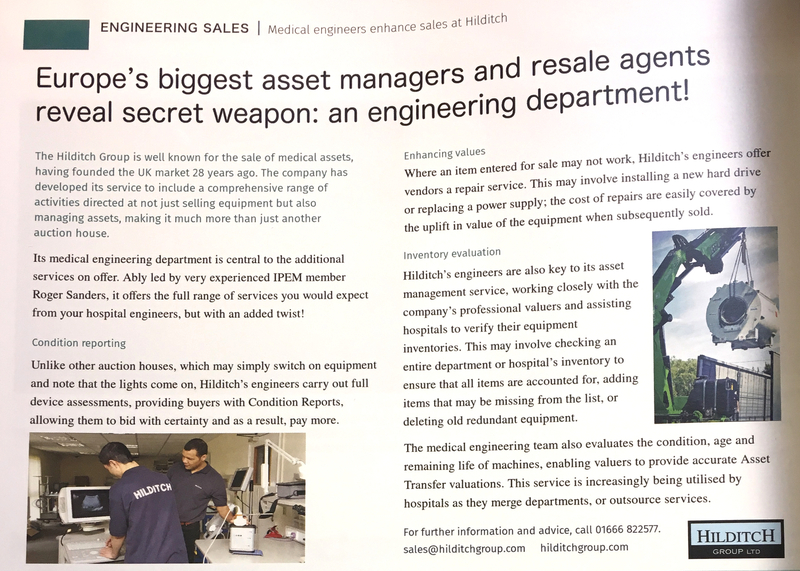 Click on the magazine image to read how Hilditch has become a trusted and valuable service provider to private and NHS hospitals, thanks to our highly skilled team of medical engineers. Read by the top 4,000 physicists and engineers in the medical sector, Scope magazine provides an invaluable resource for news on cutting edge technology and procedures, with shared information and working knowledge between the physical science, engineering and clinical professions. 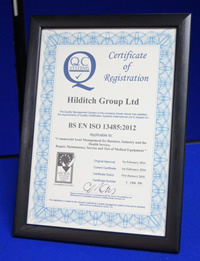 The Hilditch Group has been audited and achieved accreditation for the very latest international quality standards, for ISO 9001 (2015), ISO 13485 (2016) and ISO 14001 (2015). We are committed to providing a high level of service, ensuring all who work with us benefit from robust legal and professional compliance. Following 28 years of high operating standards, we have become the market leading healthcare asset managers. Hilditch handles medical device valuations and sales, with our team acting as trusted equipment sales agents for NHS and private hospitals. We’re very proud to be the biggest used medical device and imaging system auctioneer and sales agent in Europe, selling over 2,000 lots in more than 30 specialist auctions every month. 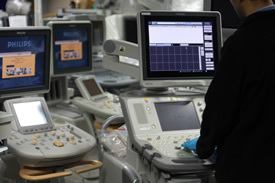 As the only auctioneers to offer a medical engineering department, we are able to add incomparable value to the sale of used equipment, by providing servicing and condition reports, which are ISO 13485 compliant. Alongside value, the issue of data protection is also crucial to medical vendors. Many pieces of medical equipment have data stored on their hard drives, which if not fully removed, could result in heavy fines. We stand alone in being the only NHS IG registered auctioneers, offering a data wiping service using HMG Infosec: the highest security standard for government computer systems. As suppliers to the NHS, our medical engineering team carries Medical Industry Accredited (MIA) identification, meaning they are professionally trained to work in the clinical environments of private and NHS hospitals nationwide. The Hilditch Group’s commitment to vigorous levels of compliance enables NHS Trusts and hospitals to avoid risk when selling used medical equipment. To take advantage of our informed advice and valuation expertise, please don’t hesitate to get in touch. ¿Cuántos lotes creen que Hilditch podría enviar a Marte en un cohete? ¡Este mes tenemos más de 1.000 lotes! Afortunadamente es un problema logístico improbable que suceda y que no necesitemos resolver, pero un tuit del empresario Elon Musk nos ha llamado la atención y nos ha inspirado para escribir este post. Mientras que el automóvil Roadster de Tesla se dirige a Marte sonando la canción Life on Mars de David Bowie, aquí en el Planeta Tierra, Hilditch prepara el lanzamiento de sus nuevas subastas de equipamiento médico usado con muchos lotes estrella. Despegamos el lunes 12 de febrero a la 13h del medio día con nuestra subasta de endoscopios (venta 1733), con retransmisión y sistema de pujas en directo a través de Webcast. Al día siguiente, martes 13 de febrero, pondremos rumbo a la subasta de equipos médicos (venta 1734), donde tendrán la opción de presentar pujas online o asistir en persona al evento. Además, este mes de febrero, nuestra principal subasta online contará con más de 100 lotes y está ya activa – incluye Zeiss S7 OPMI 150 & 160, GE Voluson S6, Dräger Evita XL, Hamilton Galileo y Fresenius 4008. La subasta terminará el 15 de febrero. ¡Lo tenemos todo preparado, no se lo pueden perder! Estamos muy contentos de participar en la convención sobre Imagen Médica que tendrá lugar los días 6 y 7 de junio de 2018 en Londres. Queremos invitarles a conocer a nuestro equipo. ¡Vengan a saludarnos al stand 9046! El equipo de Hilditch continúa ampliándose, ¡una gran bienvenida a Vicki Disney! Quisiéramos darle un cálida bienvenida a Vicki a nuestra empresa. Con el negocio creciendo cada día más, estamos muy contentos de poder contar con un par de manos extra. Vicki estará en el departamento de Administración, dando soporte a las ventas y tiene gran experiencia en Atención al Cliente. Anteriormente trabajaba como coordinadora de un proyecto ferroviario de GWEP - ¡Estamos seguros que irá a todo vapor! Si tienen alguna pregunta sobre nuestras ventas, Vicki será una de las caras amigables que les contestará el teléfono y les ayudará a resolver todas sus dudas. No duden en ponerse en contacto con nosotros para cualquier duda que surja o cualquier consulta. ¡Nuestro equipo de ingenieros clínicos crece – Benvenuta Lisa de Roma! Queremos dar una calurosa bienvenida a Lisa, nuestra nueva incorporación en el equipo de ingeniería. Graduada en ingeniería biomédica en la Universidad de Sapienza en Roma, Lisa trabajará con nuestros ingenieros en la reparación e inspección de equipos y gustosamente les ayudará con todas sus consultas técnicas. Y si esto fuera poco, en unas semanas Lisa volará a Uganda para impartir una formación en mantenimiento de equipos electromédicos a los voluntarios de nuestra Fundación Amalthea Trust. Lisa está muy ilusionada preparando todo el material didáctico, que será de gran utilidad para los técnicos. ¡Estamos convencidos que la formación será todo un éxito! Aprovechamos este post para dar las gracias a todos nuestros voluntarios por su labor y gran dedicación – hacen un trabajo estupendo. Recuerden, si tienen un desfibrilador averiado o un electrobisturí que no funciona, Lisa y el resto de los ingenieros están preparados para arreglarlo. ¡Llámenos! We are delighted to announce that we have passed our latest surveillance audit for ISO:13485 certification, recognising our ongoing commitment to a comprehensive servicing of medical devices and technical support. It is important to us to keep up to date with the latest standards and to ensure we offer a quality service to our clients. If you would like to take advantage of our highly qualified Medical Engineering Department, or have any questions, please don’t hesitate to get in touch! En Hilditch estamos continuamente innovando y tratando de mejorar nuestros servicios. Como muchos de ustedes ya sabrán, llevamos algún tiempo trabajando en la Península Ibérica y tras mucha dedicación y esfuerzo, es un placer para nosotros poder presentarles nuestra nueva página web corporativa de Hilditch Iberia: www.hilditch.es. Esta página pretende dar un mejor soporte a todos nuestros clientes interesados en comprar y vender equipos médicos usados en España y Portugal. A través de la web podrán conocer todos nuestros servicios y también podrán hacernos llegar todas sus consultas. Además, en el apartado de Noticias, les iremos informando de todas las novedades y eventos a los que asistimos. Estamos muy ilusionados con esta nueva página web y nos encantaría escuchar si tienen alguna propuesta o sugerencia. Christmas Jumper Day en Hilditch – ¡Felices Fiestas! La Navidad está a la vuelta de la esquina y el espíritu navideño ha llegado a Hilditch. Hoy 21 de diciembre es el “Christmas Jumper Day” – Aquí les dejamos una foto de nuestro equipo con sus jerséis navideños ¡Nos encanta este día! Por favor tengan en cuenta que nuestras oficinas estarán cerradas des del lunes 25 de diciembre al martes 2 de enero de 2018. Queremos desearles una Feliz Navidad y un Próspero Año Nuevo de parte de todo el equipo de Hilditch. Gracias por su apoyo en 2017, esperamos seguir trabajando con ustedes el próximo año. El 7 y 8 de diciembre la Asociación Hospitalaria de Compradores Francesa (Réseau des Acheteurs Hospitaliers - RESAH) celebró su conferencia anual en Montrouge, París. En este evento se reunieron profesionales de varios hospitales de toda Francia y se trataron diferentes temas sobre la gestión de compras hospitalarias. Algunas de las ponencias estuvieron relacionadas con el trabajo de ingenieros biomédicos. Frances Thivet, responsable de Hilditch Francia, fue invitada a asistir a la conferencia que tuvo lugar sobre la venta de equipos médicos usados dada por un hospital con el que colaboramos desde hace tiempo. Aquellos que estuvieron en la conferencia mostraron un gran interés e hicieron muchas preguntas. La experiencia, sin duda, fue muy positiva y enriquecedora para Frances, ya que tuvo la oportunidad de hablar directamente con ingenieros biomédicos y comentar más en detalles cómo Hilditch puede ayudarles en la venta de equipos médicos en desuso. Queremos dar las gracias a RESAH por invitarnos a este evento y por ayudarnos a promover la venta de equipos médicos de segunda mano en Francia. Estamos encantados de haber participado en el 9º Congreso de Compras celebrado en Berlín los días 6 y 7 de diciembre 2017. Además de tener un stand en el área comercial, nuestra compañera Olga Zachary hizo una interesante presentación sobre nuestros servicios de gestión y venta de equipos que se encuentran al final de su vida útil y, de cómo nuestro programa lleva ayudando al Sistema Nacional de Salud Inglés desde hace más de 25 años. Olga y Keeley Vernon tuvieron mucho trabajo hablando con responsables de hospitales y otros profesionales del sector, quienes pensaron que nuestros servicios eran muy interesantes. A pesar de ser el tema principal del evento la digitalización del proceso de compras, nuestra compañía insistió que la gestión de equipos en desuso es una formar de reducir los costes y que debería contemplarse dentro del proceso de renovación tecnológica. Agradecemos la asistencia a todos los congresistas que nos visitaron en el stand y asistieron a nuestra ponencia el 7 de diciembre. Definitivamente participaremos otra vez en 2018. Hilditch Group participará en la exhibición de BMUS (British Medical Ultrasound Society) del 6 al 8 de diciembre de 2017. Esta exhibición es una de las más valoradas en el Reino Unido dentro del sector médico. Es un buen lugar para conocer a gente de diferentes rangos, incluyendo: médicos y paramédicos, físicos, ingenieros, enfermeras, comadronas, técnicos, médicos de cabecera, veterinarios y otros con interés en la medicina del ultrasonido tanto en el Reino Unido como en el extranjero. En nuestro stand estará Barney Greig (Director de Business Development), Clarissa Galloway (Ventas y Marketing), y Hugo Hilditch (Ventas en el Reino Unido y Tasador). Estaremos en el stand número 36. Por favor, no dudéis en contactar con nosotros para concertar una reunión, o venid directamente a saludarnos. ¡Le esperamos! Como sabrás, Hilditch Group es el sponsor principal de Amalthea Trust, fundada por Mike y Nicky Hilditch en 2007. Amalthea Trust celebró una conferencia el 19 de septiembre en Calcot Manor & Spa, que fue amablemente ofrecido como sede totalmente gratuita por nuestro fideicomisario, Richard Ball. Muchos voluntarios atendieron a la conferencia, incluyendo ingenieros de Hilditch Group. También estuvieron presentes los donantes que financian el Kyambogo Programme. La ponente invitada, Anna Worm, con gran experiencia impartiendo cursos de formación en países en desarrollo, y además consejera del THET (Tropical Health Education Trust) y de la Organización Mundial de la Salud, hizo una excelente presentación sobre la problemática en África en materia de ingeniería hospitalaria. También se analizó el trabajo que Amalthea ha hecho en los últimos 12 meses y se presentaron algunas pautas y consejos para el desarrollo de la enseñanza de nuestros voluntarios. Muchas gracias a los voluntarios que fueron capaces de hacer posible el acto en Wiltshire. Las ideas compartidas y comentarios que ofrecieron fueron muy útiles para nosotros. 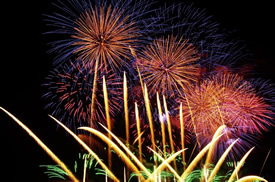 Estamos encantados de patrocinar los fuegos artificiales de Malmesbury este año. En Hilditch estamos orgullosos de patrocinar eventos locales y estar involucrados en la comunidad, especialmente cuando el dinero recaudado es para una buena causa. Todo el dinero recaudado irá a organizaciones benéficas locales en Malmesbury. Este acontecimiento tendrá lugar el sábado día 4 de noviembre en St Aldhelm’s Mead. ¡Será un gran evento! ¡Estamos deseando que llegue el día! El martes 17 de octubre, organizamos una venta benéfica de pasteles para dos fundaciones contra el Cáncer; Macmillan Support y Roy Castle Lung Cancer Foundation. Todos los del equipo de Hilditch se pusieron los sombreros de pastelero y trajeron una gran variedad de deliciosos pasteles. Como podrás imaginar, ¡los pasteles no duraron mucho en nuestras oficinas! ¡Creemos que nuestros fieles clientes también lo agradecieron! Logramos conseguir un total de £139.02 dividido ente las dos fundaciones. Muchas gracias a toda la gente que formó parte del evento, y a todas las donaciones. Este dinero irá hacia una buena causa. Medica 2017 – ¡Les esperamos allí! 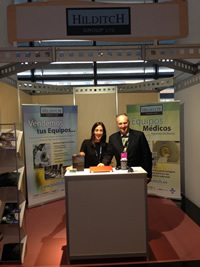 Un año más, Hilditch estará presente en Medica, una de las ferias más importantes para el sector médico mundial. Medica 2017 se celebrará del 13 al 16 de noviembre en Düsseldorf, Alemania. Esperamos con muchas ganas e ilusión este evento y nuestro equipo multilingüe estará en nuestro stand para darle la bienvenida y responder todas sus preguntas. Estaremos encantados de recibirle en nuestro Stand G30 Hall 10. Venga a conocernos a nuestro stand o póngase en contacto con nosotros para concertar una reunión durante la feria. ¡Esta año Hilditch es el principal patrocinador del Carnaval de Malmesbury este año! Hilditch se enorgullece de ser el principal patrocinador del Carnaval de Malmesbury este año. Se trata de un maravilloso evento que reúne a todas las personas de la comunidad local. El objetivo del Carnaval es recaudar fondos para apoyar causas de beneficencia locales. Este Carnaval lleva celebrándose desde hace más de 90 años y es un placer para Hilditch poder formar parte de él. Estamos convencidos que este año el Carnaval volverá a ser un acto destacado en el calendario de Malmesbury. Seguramente sabrás que Hilditch Group es el sponsor clave de Amalthea Trust, y que proporcionamos voluntarios para el funcionamiento de la fundación y damos formaciones de ingeniería clínica. Amalthea Trust celebra el martes 19 de septiembre su jornada de puertas abiertas, para todos los que estén interesados en hacer voluntariado, y también para gente que haya hecho de voluntario alguna vez y quiera compartir su experiencia con nosotros! Nuestra principal ponente será Anna Worm de THET (Engineering World Health), y otras organizaciones de ingenieros clínicos. Anna, experta en ingeniería clínica en África, nos hará una presentación sobre la problemática de la ingeniería médica en los países en desarrollado. ¡Seguro que es algo que no te querrás perder! La conferencia tendrá lugar en el precioso Calcot Manor en Tetbury (South Gloucestershire), habrá presentaciones de varios temas relacionados con Amalthea Trust; se hablará tanto de la actualidad como de proyectos de futuro, y también de métodos de enseñanza para nuestros voluntarios. ¡Aún hay tiempo! Puedes reservar tu plaza tan solo clicando en el botón que hay arriba del todo de esta página, contactando con Alex al 01666 822 577, o enviándonos un email directamente a alexs@hilditchgroup.com. Si quisieras recibir más información sobre nosotros, y no puedes atender al evento, háznoslo saber y te enviaremos nuestro catálogo. A Very Happy Customer - Our Equipment is Making a Difference! We recently had a call from a hospital in Baden-Württemberg, Germany who had an old ultrasound to sell which they thought would have little value. Here at Hilditch we gave them a free valuation and the ultrasound was put into a Timed Online Auction. Because we have such a large database of buyers from all over the world, this ultrasound was sold at a very reasonable price, giving the hospital a great return on their used ultrasound. After the ultrasound was paid for and collected, we received a thank you letter along with this photo from the buyer. Lana bought the ultrasound to be used in a hospital in the Ukraine that has been effected by the war conflict and is in desperate need of medical equipment. 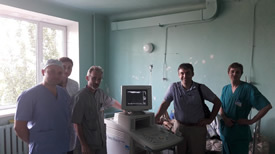 The Vendor did not realise that this ultrasound would make such a difference to a hospital affected by the conflict in the Ukraine, and was delighted to find that redundant medical equipment could still be used for such a good cause. It is always nice to hear about equipment making a difference to those in need. Not only did the Vendor get a good return on redundant medical equipment, but moreover it has made a difference to people’s lives in the Ukraine. We love this photo of the happy doctors and the ultrasound in use. Thank you, Lana! Una vez más tendremos un stand en la Conferencia Anual de Ingeniería Biomédica de la NPAG, que tendrá lugar el martes 12 de Septiembre en el Ricoh Arena (Coventry). Esta conferencia dará a conocer nuevas perspectivas sobre el desarrollo de la tecnología y qué relación existe entre los dispositivos médicos y las redes. También dará algunas pautas sobre cómo proteger los sistemas. Hilditch participa con regularidad en este evento y estamos muy contentos de repetir este año. Si desea concertar una reunión, por favor no dude en contactar con nosotros. Estaremos a su entera disposición para responder todas sus preguntas sobre la venta de equipos médicos usados. ¡Desayuno Solidario a favor de los niños! Hoy en Hilditch hemos disfrutado de un delicioso desayuno a favor de Action Medical Research for Children, una organización benéfica cuyo objetivo es salvar la vida de los niños a través de la investigación médica. Action Medical Research for Children nació en 1952 y desde entonces ha estado financiado importantes avances médicos como las primeras vacunas de polio, las vacunas contra la rubeola y las ecografías en el embarazo. Si quiere conocer más sobre esta increíble organización, por favor visite su página web https://www.action.org.uk/. El grupo Hilditch asistirá y patrocinará el torneo de golf organizado por la Fundación Rad Magazine el día 29 de Junio 2017. Se trata de un evento solidario que se celebra anualmente y, este año los fondos se destinarán a la Fundación British Heart. 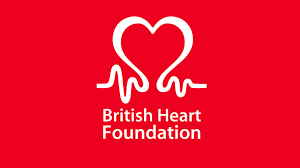 La Fundación British Heart es la principal organización que financia la investigación de enfermedades cardiovasculares en Reino Unido. Este evento reúne a trabajadores, clientes y amigos para aumentar la conciencia social y pasar un día inolvidable. Una vez más, Neill Saint, golfista, tasador y subastador representará a Hilditch en este día tan especial. Estamos muy orgullosos de poder ser un patrocinador de los Heart Awards 2017 del Hospital Barnsley. Este año Harry Gration, de la cadena BBC Look North, será el maestro de ceremonia. 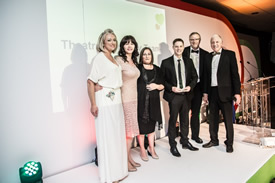 Los Heart Awards es una fantástica manera que tiene el hospital Barnsley de reconocer el duro trabajo y dedicación de su personal y voluntarios. Después de haber trabajado durante muchos años con el Hospital Barnsley, sabemos de su compromiso y apoyamos el reconocimiento de sus esfuerzos y solidaridad. 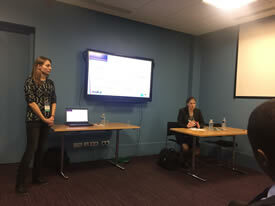 Olga Zachary y Nadine Gottschick representaron a Hilditch Group en el Congreso Interdisciplinario sobre tecnología e higiene en los hospitales celebrado en Wümek los días 3 y 4 de Mayo. La exposición comercial fue un gran éxito y queremos dar las gracias a todas las personas que visitaron nuestro stand. Fue un placer encontrarnos con nuestros clientes actuales y poder establecer nuevas oportunidades de negocio. Hace ya tres años que expandimos nuestra actividad a Alemania y a día de hoy contamos con un equipo de profesionales de habla alemana, quienes se aseguran que el proceso de venta transcurra correctamente. Vendemos equipo médico en desuso ​​en toda Europa y nos hemos convertido en una fuente importante de ingresos procedentes de la venta de equipamiento obsoleto. Si desea más información sobre nuestros métodos de ventas, por favor, comuníquese con nosotros, estaremos encantados de ayudarle. ¡Otro exitoso Seminario EBME y gran ponencia sobre Amalthea! Tuvimos la oportunidad de participar, junto con Amalthea Trust, en el Seminario EBME celebrado el pasado miércoles 26 de Abril de 2017 ¡Fue una experiencia fantástica! Este evento reunió a los principales profesionales del sector de la salud, responsables de la gestión del equipamiento sanitario. Damos las gracias a todos los que visitaron nuestro stand. Fue un placer encontrarnos con nuestros clientes actuales y conocer a nuevos clientes potenciales. 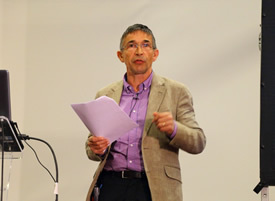 Martin Worster, director del proyecto solidario Amalthea Trust, hizo una ponencia sobre "el mantenimiento sostenible del equipamiento médico a través de programas de formación”. Amalthea Trust, siempre está buscando voluntarios de ingeniería clínica que quieran ir al extranjero a enseñar a utilizar equipamiento médico. Nuestro próximo viaje es a Etiopía con todos los gastos pagados! Si está interesado en apoyar a Amalthea por favor póngase en contacto con Martin en martinw@amaltheatrust.org.uk. ¡Damos la bienvenida a la nueva filial española: HILDITCH IBERIA! Siendo el líder europeo en el sector de la compraventa de equipos médicos en Europa, el grupo Hilditch continúa su expansión en Europa, con oficinas en Reino Unido, Alemania y ahora también en España. En los dos últimos años, nuestra actividad en la Península Ibérica ha ido avanzando, con muy buenos resultados y con un aumento en el volumen de ventas. Por ello, hemos abierto una filial en Barcelona y Amelia Mainer será la responsable de la nueva empresa. Por favor, no dude en ponerse en contacto con ella a través de ventas@hilditchgroup.com o visite nuestra oficina. Estamos consolidando y aumentando nuestra presencia en el mercado español, estableciendo relaciones de confianza con hospitales del ámbito público como privado, así como con empresas relevantes del sector – esperamos celebrar subastas muy interesantes este 2017 y convertirnos en una fuente local importante de equipamiento de ocasión. En Europa, es una práctica muy habitual la obtención de ingresos a través de la venta de equipamiento obsoleto. Ofrecemos un servicio integral de compraventa para todos sus dispositivos. ¡Si tiene equipos en desuso, piense en Hilditch! Si usted está interesado en comprar equipamiento médico de segunda mano, en Hilditch disponemos de una gran variedad de equipamiento - más de 2.000 lotes vendidos cada mes, incluyendo equipamiento de quirófano, ecógrafos, escáneres y resonancias magnéticas. Si desea más información póngase en contacto con nosotros o visite nuestra página web. Estamos muy ilusionados con este nuevo proyecto y esperamos que esta nueva filial aporte soluciones de mejora al sistema sanitario español. This year we will be exhibiting at the Interdisciplinary Congress for Technology and Hygiene in Hospitals, Wümek, in Würzburg Germany on the 3rd and 4th of May. This show brings together medical professionals from hospitals in Germany, including engineers and management personnel. We attend and exhibit at many different shows across Europe and look forward to Wümek. Our new European Sales Executive, Olga Zachary, will be there so please don’t hesitate to pop by. If you would like to arrange a meeting please contact Olga on: olgaz@hilditchgroup.com. We will be on stand 25, come and say hello! Hilditch tendrá un año más un stand en el Seminario EBME (Electrical and Biomedical Engineering) que se celebrará el día 26 de abril 2017. Se trata de un excelente evento educativo que reúne a los profesionales del sector de la salud, responsables de la gestión del equipamiento médico. El equipo Hilditch estará encantado de conocerle y explicarle las diferentes opciones de venta de equipamiento médico. Podrá encontrarnos en el stand B7. Contamos con un gran equipo de ingenieros que están altamente cualificados y forman parte de nuestra división de ingeniería clínica especializada. Inspección y elaboración de Informes de Estado sobre la condición de cualquier equipo médico, incluyendo equipos que están a la venta. Si desea obtener más información sobre nuestros servicios de ingeniería clínica, por favor no dude en ponerse en contacto con nosotros. Estaremos encantados de visitarle y comentar más detalladamente cómo podemos ayudarle con el mantenimiento de su equipamiento clínico. Podemos ser muy flexibles y adaptarnos a sus necesidades. Por favor contacte con nosotros para programar una reunión, recibir un presupuesto o si tiene cualquier otra consulta. As the market leader in the resale of medical and healthcare assets, we have strict protocols for the identification, transportation and removal of patient and confidential data for clients. 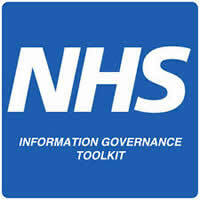 In addition to complying with all relevant guidelines, we are registered on the NHS IG (Information Governance) Toolkit, which is an online system which allows organisations to assess themselves or be assessed against Information Governance policies and standards. It also allows members of the public to view participating organisations' IG Toolkit assessments. This toolkit incorporates information governance policy, network security policy and guidelines in the use of portable equipment. We are currently graded at level 2 +, which means we have evidenced attainment on all information governance requirements, but don’t take our word for it, see for yourself by clicking the link below! Please contact us for full details on our Information Governance Policy and Data Wiping Services. We are well in the Christmas spirit here at Hilditch and there were some seriously questionable festive ensembles in our offices today; Tuesday the 20th December. 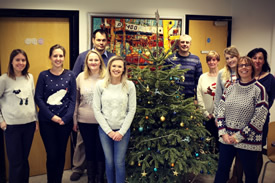 Here is a photo of the team in their Christmas Jumpers to get you into the festive spirit. 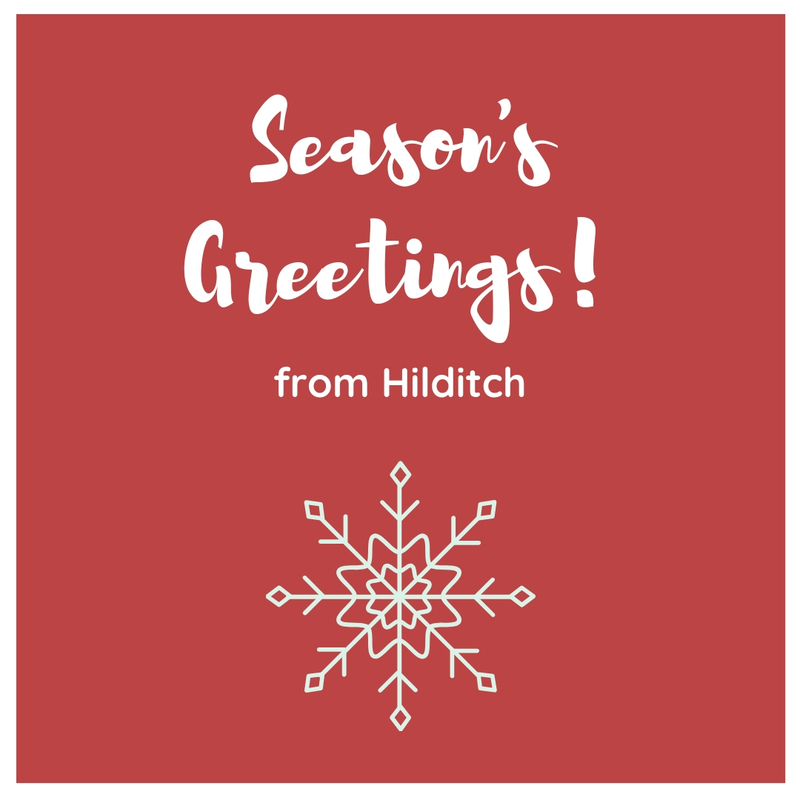 The Hilditch Team would like to wish you a very Merry Christmas and a Happy New Year - are your jumpers as good as ours?! Amelia Mainer Martos y Hubertus von Wietersheim participaron en el Congreso Anual de Ingeniería Hospitalaria donde tuvieron la oportunidad de entablar muchos e interesantes contactos y reunirse con los conocidos. Este congreso, organizado por la Asociación Española de Ingeniería Hospitalaria (AEIH), es uno de los más importantes para el sector de la Ingeniería Hospitalaria celebrado en España. El evento tuvo lugar durante 3 días desde el miércoles 19 hasta el viernes 21 de Octubre en el Auditorio ADDA de Alicante. La feria fue todo un éxito. ¡Muchas gracias por visitarnos en el stand! Esperamos veros el próximo año. 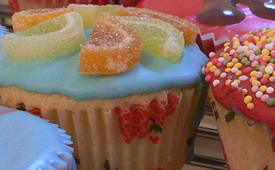 On Medical sale day, Tuesday 11th October, we will be holding a cake sale to support Breast Cancer Care. We would also like to invite you all to ‘wear pink’ clothing on sale day to get in the fundraising spirit. We’ll be wearing pink! Will you?! All proceeds will be going to charity. We had a fantastic day at De Lage Landen Charity Golf day! Big thanks to Simon Trudgeon and Stephanie Drew. 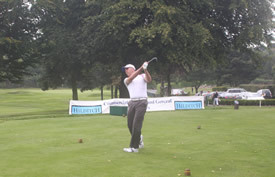 This year it was held in the beautiful Wiltshire countryside at The Manor Golf Club. All money raised went for a great cause, supporting 3 excellent charities- Amalthea Trust, Peace Hospice and Down’s Syndrome Association. Senior Valuer & Auctioneer, Neill Saint, represented Hilditch and The Hilditch / Ramsey team were pleased to come second place! 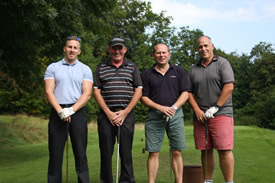 We would like to Thank our wonderful participants for a great game - Iain McDermott from Ramsey Healthcare, Dan Harding and Mick Barnes from Sychem Ltd.
Hilditch Group were pleased to be the main sponsor of the day, however we would like to thank all event sponsors involved- Annodata Ltd, The Manor House and Golf Club, Solutions Asset Finance, JLG Financial Solutions and Rigby Capital Ltd.
We look forward to this annual event every year – see you next year! We will be exhibiting at the annual NPAG Clinical Engineering Conference on Tuesday 13th September 2016 in Stratford Upon Avon. This is a one-day conference aimed at NHS Managers and Leads in EBME and Clinical Engineering. It is an opportunity to hear key presentations on current issues. The programme this year will explore integration with IT – ‘human factor design’ and ‘MHRA input’ and a GSI update. We are very much looking forward to this event and if you would like to arrange a meeting please do not hesitate to contact us. We will be on Stand 9 and look forward to seeing you there! The Hilditch Group will be exhibiting at a number of events in Europe soon - please see details below. The world's leading trade fair for the medical industry in Düsseldorf from 14 - 17 November 2016. Annual Biomedical Engineering event, in Nantes, September 21st - 23rd 2016. Organised by the Association Française des Ingénieurs Biomédicaux (the French Association of Biomedical Engineers). 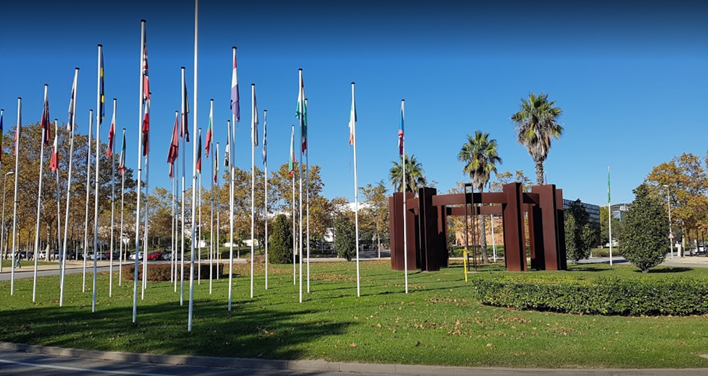 The 34th Annual Congress of Medical Engineering is the largest exhibition for all professionals within the medical engineering industry in Spain. The exhibition will take place over 3 days from Wednesday 19th October to Friday 21st October at the ADDA Conference Centre in Alicante. Estamos encantados de anunciar que nuestra NUEVA página Web ¡está ya operativa! 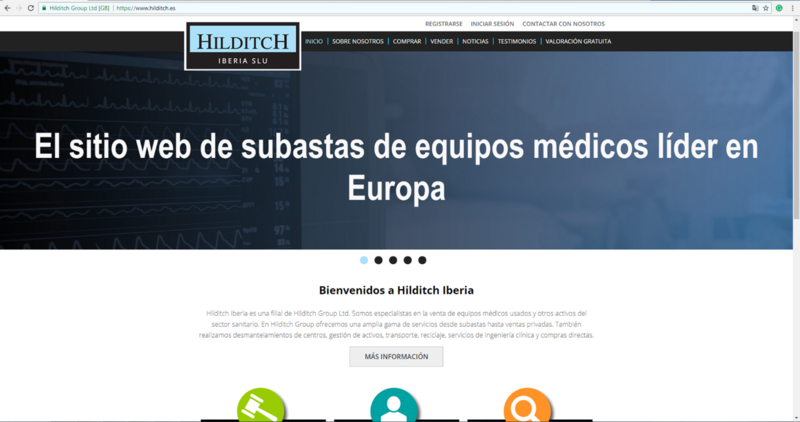 Bienvenidos a hilditchgroup.com - el nuevo sitio Web de Hilditch Group Ltd.
Estamos constantemente buscando maneras de mejorar y desarrollar nuestros servicios. Por eso hemos decidido actualizar nuestra página Web y ayudar así a nuestros compradores y vendedores internacionales a navegar con más facilidad. Esta actualización incluye más opciones de idiomas y ofrece una mejor funcionalidad. Los idiomas disponibles son francés, alemán, castellano e inglés. Paralelamente, estamos trabajando en la traducción al ruso e italiano y, en breve les confirmaremos la fecha de lanzamiento. La mayoría del contenido está adaptado y usted podrá configurar su idioma de preferencia seleccionando el botón correspondiente; no obstante, la información de los lotes permanecerá en inglés. Si tiene alguna pregunta o necesita asesoramiento, nuestro equipo multilingüe estará encantado de ayudarle. También hemos cambiado nuestro dominio a www.hilditchgroup.com, en lugar de co.uk. Nuestro anterior dominio “co.uk” todavía está operativo y automáticamente será redirigido a nuestra nueva página Web. Nuestro sitio Web, con un sistema de pujas online en tiempo real, es el principal portal para el mercado de equipos médicos de segunda mano y presenta un gran número de subastas físicas y online cada mes. Además a las ventas regulares celebradas en Reino Unido, también ofrecemos ventas online a través de nuestra página Web en cualquier lugar de Europa. Adicionalmente a las ventas de todo tipo de equipos médicos, también realizamos ventas regulares de hostelería, instalaciones y maquinaria y vehículos. ¡Esperamos que esta actualización sea de su utilidad! Si tiene cualquier comentario o duda, por favor, contacte con nosotros. Danny O’Brien, Our Online Sales Supervisor, Onsite Manager and International Operator’s Licence holder, went on a great adventure to France this month. Hilditch Group collected some equipment from a hospital in Alès, in the sunny south, and then travelled on to Grenoble teaching hospital, before heading back north to the UK. There were some great views on the way, and Danny particularly enjoyed the truck stops on the French motorways; although in his opinion “frites are not proper chips”. As our operations in Europe continue to grow, look out for our vehicles if you are on the continent, and please get in contact if you would like to discuss an opportunity in Europe. We wish to congratulate Danny on obtaining the International Operator’s Licence; he will play a significant part in the logistics of our European operations and still enjoys a good road trip. 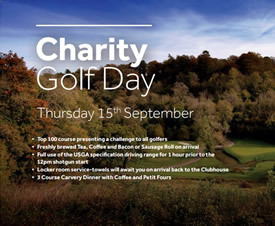 Golf Balls, a Good Cause, and a Great Day Out! Hilditch Group are pleased to be attending the Rad Magazine Foundation Golf Day on the 30th of June. This is an annual charity event, and this year it will be supporting The Stroke Association. Research funded by The Stroke Association has the ultimate aim of making strokes a preventable and treatable disease. This event brings employees, clients and friends together to help raise awareness and is a great day out. This year keen golfer, Valuer & Auctioneer, Neill Saint, will be attending the event (and hopefully also winning the game!). 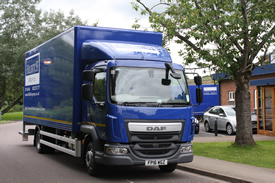 A new lorry has just joined the Hilditch fleet, increasing our transport capacity. Transport Coordinator Andrew Trybus was delighted to take delivery of his new vehicle, with the latest gadgets and barely believable fuel economy. The vehicle’s low emissions and fuel economy will help towards lessening our environmental impact, and maintaining our ISO: 14001 accreditation. We also continue to work to be flexible on small collections, utilising our large vans at low rates, thus offering an overall collection service to suit all requirements. The Hilditch Group are proud to be sponsoring the De Lage Landen Charity Golf Day on Thursday the 15th of September. We are delighted to act as a primary sponsor of the De Lage Landen Charity Golf Day on the 15th of September. All funds raised will be going to an excellent cause and will be split between – Downs Syndrome Association, Peace Hospice Care, and Amalthea Trust. As a keen golfer, Senior Valuer & Auctioneer, Neill Saint will represent Hilditch at the Event. It will take place in the beautiful Wiltshire countryside and we are very much looking forward to this. Hilditch enjoyed exhibiting at the event last year and look forward to visiting again this year. If you would like to meet with us, please contact clarissag@hilditchgroup.com. 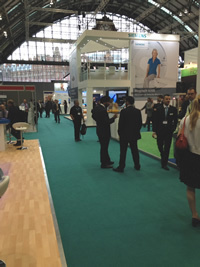 UKRC is one of the largest diagnostic imaging events in the UK. It delivers a compelling and dynamic programme of keynote presentations, hand-on workshops, poster presentations and large commercial exhibition covering all aspects of diagnostic imaging and oncology. This is an annual event and is relevant to everyone involved in the field of radiological science and is a key date in the calendar. It takes place on the 6th to the 8th of June this year. Expansion into Europe is now full steam ahead with a new established branch in Central Germany! Germany is a key market for us and will form a hub for our European operations and stock holding. We are very excited about this step forward. 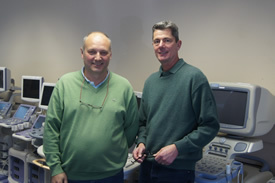 Engineering Department Continues to Expand- Two New Engineers Have Joined Us! We are very pleased to announce that two new engineers have joined our team: Joseph Rodrigues and Nadine Gottschick. This increase in staff means that our Medical Engineering Department can provide an even more comprehensive service to our clients, and supports our growth and development. Joseph has a strong background in electronics and software and will be working within our data wiping team, as well as conducting repairs. We are looking forward to seeing him put his skills to the test on some problematic software issues! Nadine joins us with a strong background in engineering and, being a German national, will work closely with our German division. She has lived and worked in many different countries, and in her spare time her quieter interests include reading and yoga, whilst at the other end of the spectrum she’s a keen surfer! Yet Another Successful EBME Seminar! Hilditch and Amalthea Trust had a great time exhibiting at EBME on Tuesday the 26th of April. The EBME seminar is an annual event that brings together healthcare professionals who are responsible for the management of medical equipment. The event was a huge success and we would like to take this opportunity to thank everyone who visited our stand. It was fantastic to meet our current customers and potential new ones. Mike Hilditch, in his capacity as Chairman of The Amalthea Trust, gave a talk at the EBME Conference ‘Good Training is Better than Bad Donations’. Mike highlighted the huge amounts of money that had been pumped into Africa; in particular over the last 50 years, including many billions a year from the UK Government annually, with very few tangible improvements. He pointed out that other poor economies in particular in Asia had grown significantly without the benefit of large amounts of aid, and that perhaps the Aid was the problem in Africa. The talk went onto address what most agencies, such as WHO, now accept as good practice; which includes targeted small loans to business, help with education and infrastructure. However, Africa is improving and growth is excellent in some countries. This is due to better IT, web access etc. and the entrepreneurial spirit of the younger Africans; our job in the West is to encourage this and provide the tools so that they can increase their expertise. This is what Amalthea Trust is doing by running the Biomedical Technicians Course in Kyambogo University. The talk was well received, and 11 engineers from the audience expressed an interest in volunteering for the Trust. Mike would like to thank John Sandham for inviting him to talk at the conference. Due to the ever increasing amount of Lots in our main monthly medical auction, we have acknowledged that the finish time, averaging around 7pm or later, is proving to be a problem for some of our buyers. For this reason, we are proposing that we will be open for viewing at 8.00am and will start the auction at the earlier time of 9am, which should hopefully mean an earlier finish for you all. Should these changes go ahead it will mean less time for viewing on the morning of the sale; however you can take full advantage of our Medical Engineering Dept.’s condition reporting prior to the auction, and you are also able to visit us the Friday before the auctions from 12pm-5pm and Monday before the auctions from 10am-6pm. Please contact us with any comments you may have regarding this; your feedback will assist us to make a final decision regarding these changes – simply email us on sales@hilditchgroup.com. We are delighted to once again be exhibiting at the EBME (Electrical and Biomedical Engineering) Seminar on the 26th of April 2016 in Milton Keynes. This is an excellent independent educational event bringing together healthcare professionals, and the key annual event in most medical engineer’s calendars. Mike Hilditch will also be presenting a paper on behalf of the Amalthea Trust entitled “Good Training is Better than Bad Donations” Don’t miss it! A representative from The Amalthea Trust will also be present on our stand to discuss opportunities to support and volunteer for the charity, whose aim is “to help provide for the sustainable maintenance of medical equipment through the provision of training programmes for the recipients”. The Hilditch team would be delighted to meet you to talk about medical device sale options, and our growing range of services. Contact us today to arrange a meeting, or just pop in and visit Hilditch on Stand B1. Hilditch were very happy to be a sponsor at Malmesbury beer festival this year, and the team had an excellent time! 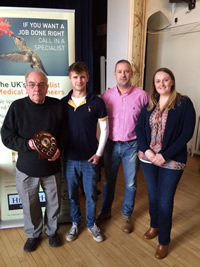 Massive Congratulations to ‘Style Farm Butchers’ who won the competition and will be presented with the Hilditch Sausage Shield this Sunday 24thApril 2016. It was a very enjoyable festival with great live music, delicious food and drink. This is a yearly, two day festival and took place on the 8th and 9th of April this year in Malmesbury Town Hall. The festival raised a great amount of money and the profit was divided equally between the three local schools, St Josephs RC Primary, Malmesbury Primary School, and Malmesbury Secondary School. All three schools received £1,000 each! We look forward to the next one next year! 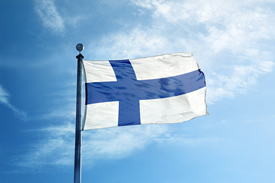 Hilditch Expand Sales to Finland! We are pleased to announce a great new online sale in Finland. We are expanding even further into Europe - not only do we sell equipment in Germany, Spain and France but now also in Finland. We are working closely with the Oy Yios Company and have a great variety of medical equipment for sale. The equipment in this sale ranges from sternum saws to patient monitoring units. European Expansion Full Steam Ahead! We launched our new European service in 2015 with sales in France, Germany and Spain - but 2016 looks even more exciting; already we are cataloguing our first sale in Finland! Two new members of staff are joining the department to strengthen our German Office. Hubertus von Wietersheim-Kramsta will be our “Man in Germany”, building strong links with the Health Service he will be based at our new warehouse near Frankfurt. Hubertus, although a German national, is fluent in Spanish, having spent several years building an online business and managing the online presence of many Spanish companies. Dieter Becker joins us from a career in business development for a number of high tech international companies. Dieter will be responsible for Northern Europe sales and valuations, and will be working closely with Hubertus developing the German market. Although a German national, Dieter has lived in the UK for many years and will be based at our Malmesbury office. Hilditch Group Go the Extra Mile with Information Governance! Following on from the success of the Engineering Department achieving their ISO: 13485 Accreditation, we have now successfully been accepted onto the NHS Information Governance Toolkit. Maintaining exceptionally high standards has always been a priority of the Hilditch Group, because we think that it is important that hospital managers should be able to trust that only professionals manage the sale of their assets. These days anyone can slap auctioneer after their name – surprisingly, the industry is completely unregulated! Maintaining high standards is crucial; the fact that the Hilditch Group is IG compliant should reassure all our clients that they can truly trust that our processes of monitoring and disposal are world class. We would like to invite you to join us at the upcoming Hotelympia catering exhibition, which runs from 29th February 2016 to the 3rd March 2016 at London Excel. The team are once again exhibiting and would be delighted to meet hospitality buyers and vendors, both new and old, to discuss the market and opportunities to buy and sell catering equipment. Contact Henry Hilditch, our Catering Auctioneer, at henryh@hilditchgroup.com if you would like to arrange a meeting, or call past our stand no. 3600. Hotelympia is the UK’s largest foodservice and hospitality event and the most important event for any professional wanting to gain access to the latest products and thinking. A big thank you to Hilditch from Kenya! 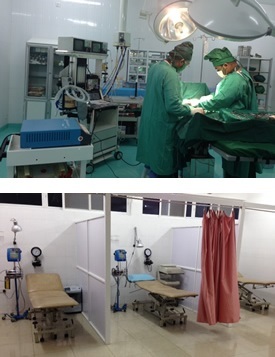 With 1000’s of medical equipment lots leaving our salerooms each month, it is great to see what has been achieved, a fully equipped operating theatre with wards! A fine example of creating a much needed resource to a community. Just to thank you again, I think you can all see how much Hilditch has done for Star Hospital and Langoni Nursing Home. Most of our equipment was bought there. In this part of the world, this will all go a long way in helping the local community. With Hilditch, our dream became a reality'! 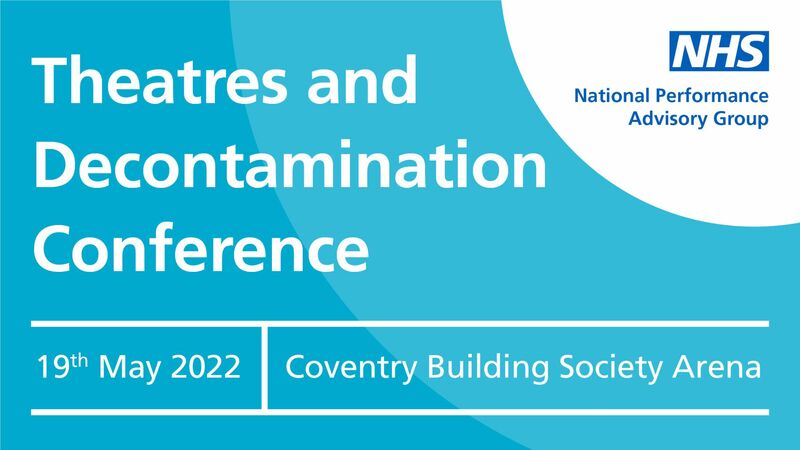 Hilditch were proud supporters of the NPAG: Clinical Engineering Conference this month where our Director, Mike Hilditch, gave a controversial yet thought provoking presentation named ‘Does Charity Save the World – or Destroy it’? The presentation put forward the argument that Big Spend charity by governments often has a negative effect of the recipients, and that a better approach is to encourage free trade. Mike also talked about how money could be better spent on education, business advice and small cheap loans for start up businesses; following which, many of the delegates also recounted their similar experiences. Several engineers expressed an interest in volunteering to teach medical engineering classes for the Amalthea Trust. If we spoke to you at the event then you will be hearing from us shortly, but please don’t hesitate to contact us at sales@hilditchgroup.com to request more information should you desire it! 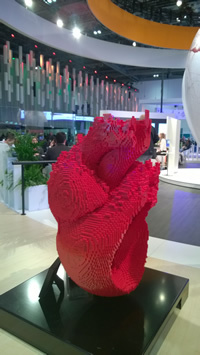 Joanna Maddams, Hilditch Marketing Executive, attended the European Society of Cardiology Congress last week, the largest and most influential cardiology event in the world. Visiting the many major manufacturers exhibiting at the conference, including Philips, Siemens and GE Healthcare whom we sell medical equipment on behalf of, Joanna was also able to renew knowledge in this specialist field - in which we sell hundreds of items of cardiology equipment every year. Joanna said “it was great to attend such an exciting event, with attendees from around Europe and so many new developments and innovations”. The European Society of Cardiology (ESC) represents over 85, 000 cardiology professionals, principally from across Europe and the Mediterranean basin, but also from the rest of the world. Providing an array of scientific and educational activities including the production and continuous updating of Clinical Practice Guidelines, the ESC also organises many educational courses and initiatives, as well as pan-European surveys on specific disease areas. As well as the ESC Main congress, several subspecialty congresses are also held and the ESC also edits and publishes 12 of the world's leading journals on cardiology. 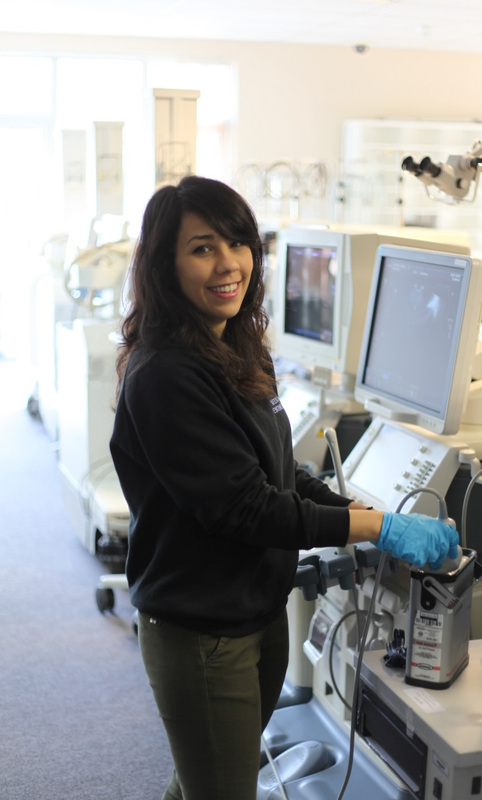 Senior Ultrasound Engineer Joins Our Growing Medical Engineering Team. Karan Korgaonkar, Senior Engineer, is the latest addition to the growing Hilditch team, joining us with industry experience from leading players including TBS GB, Asteral Ltd and Siemens, as well as having worked in several NHS Trusts. 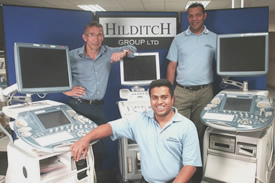 Karan's appointment significantly enhances The Hilditch Group's capability to maintain and repair ultrasound scanners, as well as supporting our industry leading resale programme. Karan will work with the team to maximise the resale value of ultrasounds by preparing them for sale with any required repairs and maintenance in liaison with vendors; and potentially supporting buyers in their maintenance after purchase (although all lots remain sold as seen). As a specialist Nursing Home Auctioneer, Hilditch Group, recently visited the Care Show in Bournemouth to renew relationships with Care Homes and Equipment Manufacturers alike. In our 25 years of trading, we have sold thousands of Care Home Equipment items through our auctions, including wheelchairs, hoists, baths, walking aids, beds, mattresses and much more. Many care homes were not aware of the full service that we provide, including our site clearance and Asset Management Service; which takes unwanted stress away. 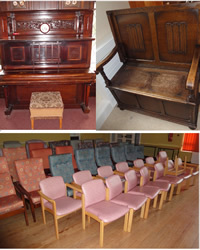 A care home in Staffordshire have used us on a number of occasions to collect, auction and dispose of unwanted furniture and equipment from several closed properties. 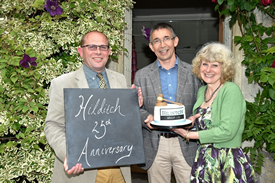 Hilditch Celebrate 25 Years in Style! Hilditch celebrated their 25th Year in business on Friday with a stylish event at Barnsley House Hotel, Cirencester. Guests included local councillor Ray Sanderson and a host of past and present customers, including Albert Maslin of Westend Catering who started working at Hilditch as a porter at the age of 16, before setting up his own successful business. He has been attending Hilditch Auctions for many years. The event was held in the Grade II listed gardens of Barnsley House. The slightly damp weather did not dampen the festivities, which included afternoon tea and a speech with champagne toast by Mike Hilditch. 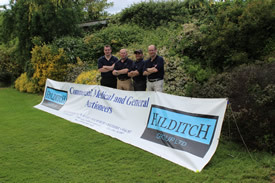 Founded in 1990 by Mike and Nicky Hilditch, the company is now the biggest resellers of medical equipment in Europe, with customers from all over the world. 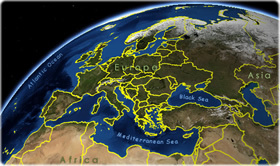 The Hilditch Group is expanding rapidly and has opened offices in Spain and Germany. Hilditch will be exhibiting at the UK Radiology Conference (UKRC) Monday 29th June – Wednesday 1st July and would like to invite you to visit us on stand 85. We value and sell a huge variety of imaging equipment for the NHS, Lease Companies and Manufacturers, including CT and MRI scanners, and would be happy to discuss sale options for your current equipment that you may be replacing. Please let us know if you would like to arrange a meeting or just pop along to stand 85. UKRC is aimed at all those involved in the field of radiological science, being the largest Diagnostic Imaging event in the UK. It is a three day multidisciplinary scientific conference and technical exhibition. This year promises to be a dynamic and exciting programme, covering all aspects of diagnostic imaging and oncology. 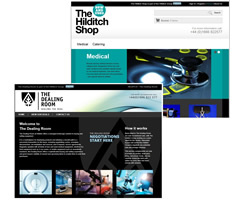 Hilditch have just launched two major new sections to their website – The Hilditch Shop and The Dealing Room. The Shop features a range of new and used catering and medical equipment, some with a UK Warranty, giving our buyers the opportunity to purchase selected items now. The Dealing Room offers a more refined solution to buying and selling equipment. It gives our vendors the opportunity to display products in advance, maximising visibility to buyers. This allows buyers better preparation for purchases, giving them the chance to negotiate a price, arrange disconnection, de-installation, removal, and service agreements if necessary. Both The Shop and Dealing Room are regularly updated with new products so check back regularly for new deals. 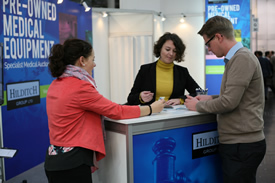 The Hilditch Group will be exhibiting at the 5th National Conference for Radiology Managers supported by the Philips Healthcare and the Society of Radiographers on 14th May 2015 at the Pullman Hotel, London. The event attracts around 300 Managers and Clinical Directors across the UK to meet and share information and experiences. The 2015 theme is 'The Quest for the Holy Grail: Achieving Quality, Safety and Investment' - with a highly topical programme, it aims to support the leadership of managers as they work to deliver high quality imaging services in the rapidly changing National Health Service. As the leading medical device reseller via auction in Europe with 25 years’ experience in the medical industry, Hilditch have sold an array of CT, MRI and X-ray rooms, as well as ultrasound scanners and general imaging equipment on behalf of 95% of NHS Trusts and private hospitals. We hope to see you there on Stand 7! Hilditch sponsored a Charity Golf Day held in their local town of Malmesbury which raised over £6,000 for Children’s Hospice South West. Organised by Malmesbury builder Paul Sparrowhawk and his wife Claire, the event also included an auction with a pair of signed Ricky Hatton boxing gloves, a players programme donated by Europe’s leading mind coach Karl Morris and a signed US Open flag from Justin Rose. Children’s Hospice South West make the most of short and precious lives, building memories for families whose children are living with life-limiting or life-threatening conditions. The Grand National and The University Boat Race were both overshadowed earlier this month by the Wiltshire Sausage and Beer Festival which was a sizzling success! The event took place in Malmesbury town hall and raised over £3000 for local primary schools. Luke Chapman, Online Cataloguer at Hilditch judged the sausage competition and presented the renowned Hilditch Sausage Shield to the winner of the best Sausage in Wiltshire - Martin Wilson of Wilson's Family Butchers in Swindon. To show their ongoing support for the local community and of course, beer, Hilditch also sponsored a Firkin for the event in addition to the Shield. The festival also raised an extra £200 for the Malmesbury and District Foodbank. The Great Hilditch Bake Off! Staff at Hilditch will be taking part in the Great Hilditch Bake Off to raise money for Help for Heroes. 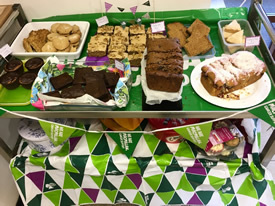 Participants will bake an array of cakes, cookies or sweet treats ready for Tuesday 21st April which is when their next live Catering Auction will take place. Feel free to pop in throughout the day and sample these delicious treats! All proceeds will be donated to Help for Heroes. Hilditch will be exhibiting at the EBME (Electrical and Biomedical Engineering) seminar and would like to invite you to meet with us on stand C10 to talk about medical device sale options and our growing range of services. The conference is taking place in the Doubletree Hilton Hotel, Milton Keynes on Thursday 30th April 2015. EBME is an independent educational event bringing together healthcare professionals that are responsible for the management of medical equipment in areas such as procurement, maintenance, user training, and managing inventories. Contact us today to arrange a meeting or just pop in and visit Hilditch on Stand C10. We look forward to seeing you. Our veteran marathon runner, Danny O'Brien, will be running The Grand Union Canal Challenge this year in aid of Help for Heroes. Danny will be running 50k from Watford to Bletchley hoping to raise at least £400. This is an annual event which normally features about 2,000 entrants. The entire course is 100k, starting from London, but entrants can either do 25k, 50k or the full 100k. Danny says he'll do the 100k maybe next year...! Hilditch have increased the size of their medical engineering department with the inclusion of Biomedical Engineering Graduate Mufna Nihad. Mufna holds a 1st Class Degree from City University, London. Before joining us, Mufna worked as a Trainee Biomedical Engineer for the NHS at Chase Farm Hospital, London. We are delighted to welcome Mufna, whose primary activities include performing Planned Preventative Maintenance, Servicing, and Electrical Safety Tests on the vast range of medical equipment sold in our auctions, including Ultrasounds, Radiography Rooms, CT Scanners, Endoscopy, Mammography and Anaesthetic Machines. 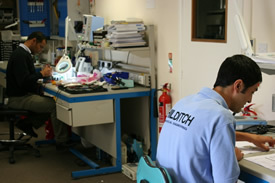 With the ability to test and repair most types of equipment in a 72-hour turnaround time, and specialties in clearing patient data, along with carrying out post-lease condition and decontamination reports on a range of equipment for lease companies, we have seen an increase in throughput within the engineering department in recent months. Wimbledon, Ascot, The Boat Race and the Wiltshire Sausage Competition are all prestigious events in the British social calendar and The Hilditch Group are pleased to announce that this year we will be principal sponsors of the Best of the British Bangers! Butchers from all over Wiltshire and far beyond will be flocking to Malmesbury on 10th and 11th April 2015 to enter their meaty feasts in a competition that combines everything that is Great in Great Britain; namely fine ales and sausages. The Malmesbury Beer Festival will showcase handcrafted ales and fine British cuisine, and, who knows, even a Morris Dancer or two. The event, which will raise funds for three Malmesbury Schools, is rapidly becoming almost unmissable, and the chance to win the Hilditch Challenge Cup for best sausage has got everyone literally slavering at the chops! Hilditch Group have a number of valuers to provide accurate quotes on what equipment is worth before it is sent to auction, along with trained engineers who can inspect equipment and undertake data cleansing on hard drives, enabling resale instead of disposal. Leading medical equipment and healthcare asset auctioneers Hilditch Group are rapidly expanding with the appointment of three members of the sales and marketing team. 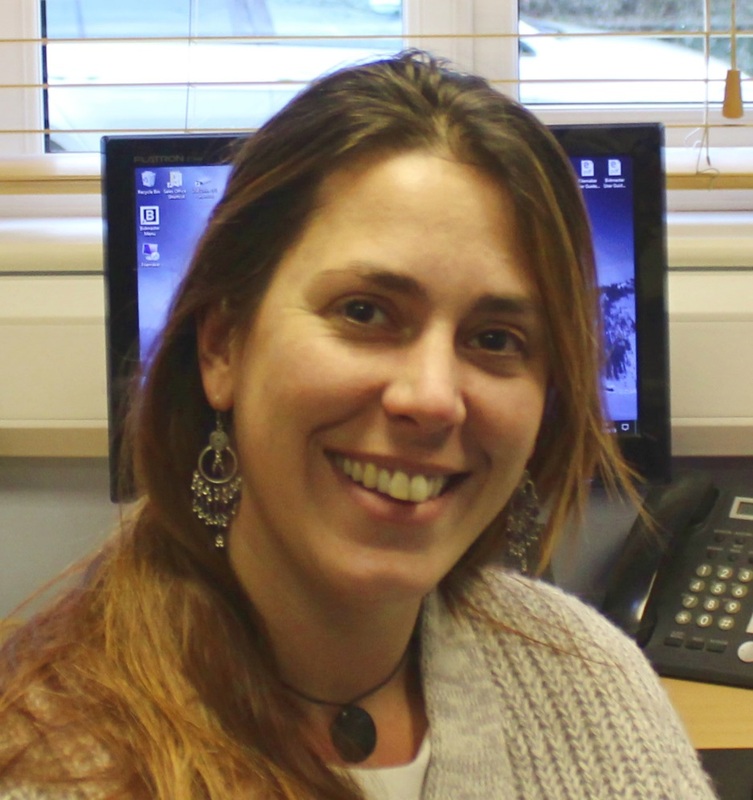 Amelia Mainer Martos has been taken on as Sales Executive for Spain, Portugal and Latin America. Amelia has extensive experience in marketing after working with HP for two years. Prior to this, Amelia gained a Master’s Degree at Barcelona School of Management. After studying as an apprenticeship mechatronic technician with a dental market leader, Christiane Saupe joined MSI (Medical Service International) as a field service representative for North Germany. With vast experience studying medicine and repairing endoscopes, Christiane is well qualified to join Hilditch as Sales Executive for Northern Europe. These appointments reflect the rapid expansion of Hilditch into Europe. Joanna Maddams, Sales and Marketing Executive, will be using her Healthcare experience to maintain the Hilditch website as the key portal to the used medical equipment market in Europe. She will also continually maximise vendor medical device exposure to over 12,000 active buyers and thousands of prospects. 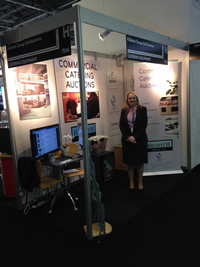 Hilditch have had a presence at the Hospitality Show for a number of years and enjoyed renewing relationships with both buyers and vendors - several of whom knew us from when we started holding catering auctions 25 years ago. Visitors were interested in the wealth of services Hilditch have to offer at the Hospitality Show, and the opportunity to buy low-priced used commercial catering equipment. Discussions were based around the variety of equipment Hilditch sell through their auctions including new, ‘B’ grade, second hand or used catering equipment from major manufacturers and distributors. 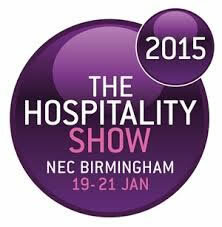 This month, the team will be attending the Hospitality Show at Birmingham NEC 19th – 21st January, Britain’s largest hospitality event of 2015. We’d like to invite you to join us on stand 459 to discuss how we can be of service to you. With 25 years’ experience, Hilditch are the UK's leading auctioneers of catering equipment; selling new, b-grade and used catering equipment. The team will once again be attending Medica and this year will be co-exhibiting with MSI Medserv International. We have assembled an expert team for Medica this year – Mike Hilditch (Director), Barney Greig (Marketing Manager), Joanne Clark (Valuer) and Hugo Hilditch (Sales & Marketing). Medica is the world’s largest medical equipment trade exhibition - and we extend a warm invitation to meet the team. Hilditch Group will be exhibiting in Hall 13, stand D63 from the 12th – 15th November. Please call in and meet us; contact us to arrange a meeting during the show. 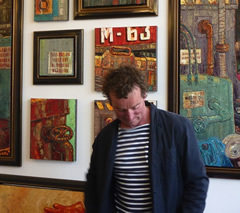 Connoisseurs of British Art might already be aware of talented painter Jon Woolfenden whose large oil painting exhibited in the Summer Exhibition at the Royal Academy of Arts sold within 20 minutes at the private viewing. Woolfenden’s subjects are often industrial; Shipping tankers, merchant vessels, chains, tyres and even an abandoned safety glove, but his use of colour imbues each scene with an electrical liveliness. Inspired by dockyard life on the South Coast and his travels, Woolfenden’s paintings bring a dynamic, contemporary atmosphere to homes or offices alike, a devotee of the ‘Kitchen Sink’ style, his art features in many public collections, such as the Museum of Labour History. Jon’s paintings are reminiscent of John Bratby’s work with thick layers of paint applied to the canvas but the comparison belies the intensity of Jon’s art, unlike Bratby who could knock out a canvas in an hour or so, Jon applies layer after layer over days of intense work, using brush, knife and even hands, the canvases engulf the senses with rust , diesel , the sea, you can hear the clank of the chains and the cries of the seagulls and smell the brine in the air. At Hilditch we’ve livened up our reception and meeting rooms with Woolfenden’s eye-catching artwork and, as big fans of the artist, we’ve agreed to hold an online auction of his paintings next month. Keep an eye on our website and take advantage of this unique opportunity to invest in stunning pieces by a contemporary British artist. Better still take a trip down to sunny Salcombe visit Jon’s studio and meet the artist himself, no mere photograph can do his paintings justice. We’re looking forward to attending the Healthcare Estates Exhibition on the 7th and 8th of October at the Manchester Central exhibition centre. 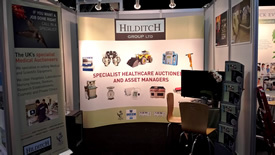 As the leading specialist auctioneer and asset manager to the health service, Hilditch will once again have a stand at the exhibition this year, and we would love to have a drink and a chat while we’re there and update you on developments at the Hilditch Group. We have grown significantly in the last few years and now offer a host of services in addition to the sale of assets. Should you require more information on the conference or exhibition, or simply need directions, please visit the Healthcare Estates Conference and Exhibition website: http://www.healthcare-estates.com/. We very much look forward to seeing you at our stand, number F30! 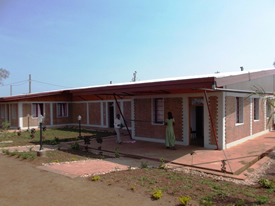 Hilditch Group Help Engalynx Charity Establish Health Centre in Mwulire Sector, Rwanda. The Mwulire Sector is located in the Eastern Provence. Until recently there was no Hospital or Health Centre and residents had to walk 22 miles for medical aid. For people with serious health issues or women with birth complications, this was a bleak situation. After being offered two possible locations, the Engalynx charity chose Ntunga, the “sector capital”, which was suitable for a Health Centre. Engalynx Trustees visited the Local Authority and the need for a centre was confirmed. In 2011, Maralyn Bambridge met a team of volunteers from the global design and engineering firm, Arup. Their plans were approved by the Local Authorities in 2012, and detailed plans went out to tender in Rwanda. Building began in May 2013 and the much needed Maternity Unit opened on September 2014. Originally, it was agreed that the Ministry of Health would provide the equipment, however, due to problems Engalynx had to purchase the equipment themselves. As a charity they needed the best equipment, but at an affordable price. Hilditch Group were delighted to work with the charity and we helped them source their medical equipment from our salerooms in Malmesbury. 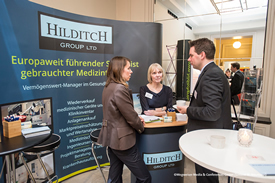 Hilditch are delighted to announce the sale results of a recent collaboration with MSI MedServ International GmbH, Germany – a member of the TBS Group. 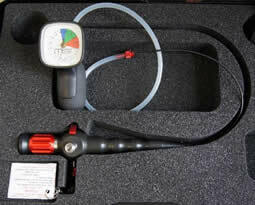 MSI are a leading company in the supply, repair and maintenance of Endoscopes, TEE probes and ultrasound probes. 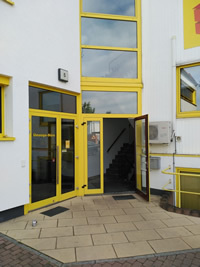 We were pleased to have overseen two online scope auctions, based in Germany. The first sale featured 5 ex demo ‘as new’ rigid and flexible scopes and the second sale 39 flexible scopes. The sales were a great success with strong bidding from our global buyer base and with many of the lots reaching beyond the upper end of their estimate price. Given the resounding success of these German sales, we anticipate more auctions in association with MSI MedServ International GmbH and look forward to further medical sales in Europe. The complete medical assets of the Mount Carmel Hospital (in liquidation) were recently sold in several online auction sales. The auctions were hosted on the Hilditch Group website on behalf of the appointed Dublin based Auctioneers McKay & Associates Ltd, on the instructions of Joint Official Liquidators. Given the specialist nature of the sale, McKay’s requested the involvement of Hilditch, as experts in the field of medical equipment sales. 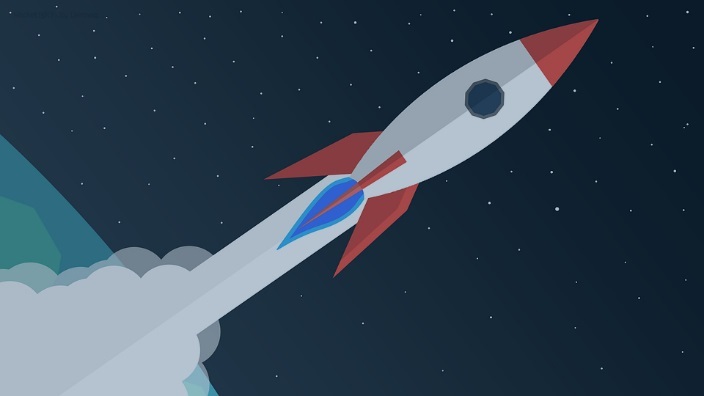 The two companies worked together to significantly exceed pre-sale estimates. 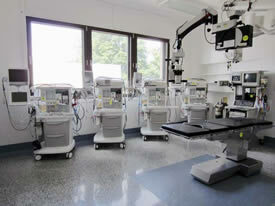 The auctions further our growing medical equipment sales presence in Europe, with these sales conducted in Euros. Keep an eye on our website for further European sales! We were delighted to act as primary sponsor for the De Lange Landen Charity Golf Day on the 4th September 2014. The event was held to raise funds for Home Start, which supports families in need. Senior Valuer/Manager, Neill Saint represented Hilditch, club swinging with all the enthusiasm of a caveman bagging his lunch. 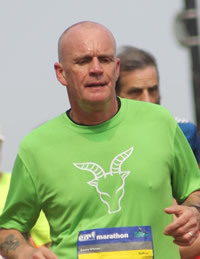 Marketing Manager Barney Grieg was also on hand to offer support, but despite this winning arrangement, victory was snatched by the Microsoft team. 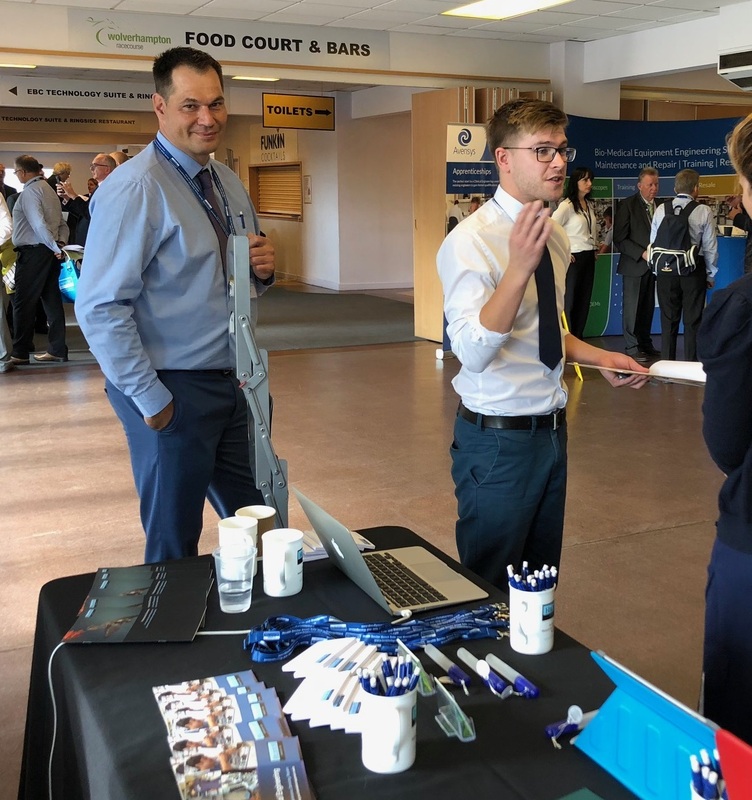 Barney Greig, our Marketing Manager, attended the United Kingdom Radiography Conference on Wednesday the 11th of June and also took the opportunity to meet with several NHS Trust clients in the Manchester area. It was a great chance to see the latest imaging equipment such as ultrasounds, CT scanners and C-arms from the key manufacturers demonstrated. It also provided “professional development” for Barney who, in addition to managing the marketing of our sales and services, conducts equipment valuations. For those who haven’t attended UKRC, it is an annual event which also hosts a three-day multidisciplinary scientific conference and a technical exhibition alongside this. It is relevant to everyone involved in the field of radiological science and is a key date in the calendar. 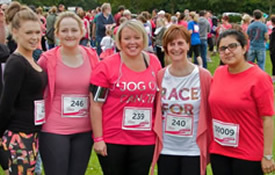 Huge congratulations to Becci, Sally-Anne, Joanne, Kavita and Anna who ran, jogged and walked (in that order!) to complete the 5k Cancer Research Race for Life on Saturday 31st May. Between them they raised over £2,100, however you can still donate here: www.justgiving.com/Hilditch-Girlies. Thank you to everyone who sponsored them! 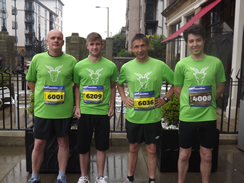 The Hilditch Marathon Team successfully finished the Edinburgh Marathon on Sunday 25th May 2014. Team Leader, Danny O’Brien, led the charge with a convincing 4 hours 10 minutes, followed by Mike Hilditch on 4 hours 13 minutes, Hugo Hilditch 4 hours 30 minutes and Luke Chapman (who bravely battled on even after a leg injury at mile 8) on 4 hours 52 minutes. Well stocked up on Scottish porridge, the team set out in high spirits, yet somewhat nervous about the prospect of running 26.2miles; however the Edinburgh atmosphere was undeniably electric. Despite the unpredictable weather the marathon was a thoroughly enjoyable experience for participants and spectators alike. For first time marathon runners it was a true test of endurance and determination in the name of charity; the Team raised £1,250.00 for the Amalthea Trust, which supports Medical Engineering courses in Uganda. The donations page will remain open until 25th June for anyone who wishes to contribute to a good cause. We were very proud to be the main sponsor at the R3 South West & South Wales Regional Golf Day (The Association of Business Recovery Professionals), on Thursday the 22nd of May 2014 at the lovely St Pierre Hotel & Country Club, Chepstow. Everyone enjoyed the day greatly and didn’t let the changeable “Spring” weather, or the threat of a lightning strike, dampen their enthusiasm. It was a good opportunity to meet with local business recovery specialists in an informal setting and talk about current market conditions. We greatly enjoyed exhibiting at the conference, and meeting new and existing customers, which was held at the stunning Kings Place venue in London on the 15th of May. The venue featured great works of art and excellent food. The conference was a chance for Radiology Managers to exchange new ideas and network, and has become a key event in many Radiology Managers' years. Although we specialise in the sale of medical equipment including CT and MRI scanners and other imaging equipment, some customers did not realise our strengths in imaging equipment – do please get in contact if you have any imaging equipment to sell! 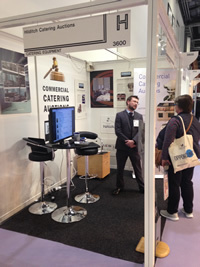 We are exhibiting at Hotelympia this week, the biggest event of the catering and hospitality year. The show is packed with exciting new products and innovations and features demonstrations from leading chefs. The event runs from the 27th of April to the 1st May and we are on stand 1514, do please call past to say hello and talk about your catering equipment requirements. We are very proud to announce that we have been awarded the Tender to supply a disposals and asset sales service on behalf of North Bristol NHS Trust. 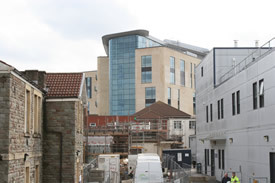 In May 2014 Southmead Hospital, Bristol will become one of Europe’s leading hospital sites, with services transferring from the existing Southmead Hospital and Frenchay Hospital respectively as part of a major PFI construction project. We will be working hard to clear the old sites and sell assets so watch out for some excellent sales containing everything from CT Scanners to Catering Equipment. You are probably aware that the Hilditch Group is a key sponsor of the Amalthea Trust, and that we provide volunteers to assist in the running of the charity and in teaching biomedical engineering courses. However, you may not be aware that we donate over 7% of our company profits to fund the trust. We founded the charity after visiting Africa and becoming aware that it was not the shortage of medical equipment that was the principal problem with delivering healthcare, but the shortage of medical equipment that was in working order. Over the years, huge quantities of equipment have been donated to Africa; however there is simply not the expertise to maintain the equipment, and no one to provide training on how to use it. As a charity, we rely on NHS volunteer engineers to deliver the courses. We are always happy to talk about the Trust and current projects so please feel free to contact us. To assist with the provision and maintenance of medical equipment and support systems to less economically developed countries. To help provide for the sustainable maintenance of medical equipment through the provision of training programmes for the recipients. You can find out more about supporting the trust at www.amaltheatrust.org.uk. The Hilditch Group are pleased to continue their long-standing sponsorship of Wootton Bassett Cricket Club. Our longest standing employee, James Smith, is an active member of this club who last year had their most successful season at Junior Level Cricket and are targeting promotion for their 1st Team. After all the recent awful weather we hope that the start of the cricket season will hail the arrival of the sunshine and warm weather! 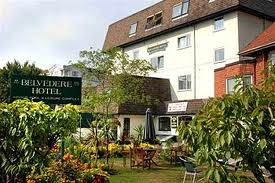 The Hilditch Group have been instructed to sell the contents of the The Belvedere Hotel, in Bournemouth. The hotel, which has 100 bedrooms, is closing for redevelopment and everything must go. Included in the sale will be leisure facilities, gym equipment, furniture, kitchen contents, crockery and cutlery, plus much more - it will provide a great opportunity for buyers to purchase equipment for their catering and holiday let businesses. The sale will take place on Wednesday 22nd January and the catalogue will be released in the New Year. Watch our website and our Facebook Events page for more details as they become available. Marketing Manager, Barney Greig, will be attending Medica this week - the world’s largest medical equipment trade exhibition - and he extends a warm invitation to all to meet with him. Barney will be enjoying the native culture of Germany whilst attending, of which German beer is an integral part he assures us! Hilditch Group have booked a meeting room at the ABHI stand in the UK Pavilion, Hall 16, stand G19-1 on Wednesday 20th and Thursday 21st November. Please call in and meet Barney, or collect his details to arrange a meeting during the show. It seems we've only just said our goodbyes to Colin and now we're about to lose driver Tony as well! Tony has decided to take a driving position in New Zealand and we will be very sorry to see him go. However, we are delighted that he is embarking on a new adventure and we wish him all the best. Hilditch Group Ltd were proud to be the primary sponsors of De Lage Landen’s Annual Charity Golf Day, held at Blackwell Golf Club in Worcestershire this year. The event was in aid of Home-Start Watford & Three Rivers (http://home-startwatford.org.uk/), a voluntary organisation committed to promoting the welfare of families with at least one child under 5 years of age. The 72 attendees were treated to a day of golf followed by dinner and a charity auction which was conducted by Mike, who attended with Barney.The auction was a huge hit, and no wonder with several excellent lots including 18 holes of golf for four people at St Andrews, a day’s fishing for two on the River Thames at Chilbolton, and a two night stay at the soon-to-be opened luxurious Lord Crewe Arms in County Durham. 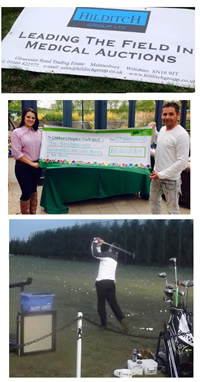 Overall, more than £10,000 was raised for charity and we were delighted to have been involved. We’re sad to say that our ever-cheerful driver Colin has finally retired. Having worked for Hilditch for 8 years, it’s probably about time he put his feet up, but he will be sorely missed by colleagues and clients alike. Thankfully he will still be popping back from time to time to help out so we don’t have to say goodbye forever, but it will still be a shock to the system not hearing that unmistakeable chuckle every day. We wish Colin all the best for the future and intend to give him the send-off he deserves! Team Hilditch will be running the Edinburgh Marathon in May next year to raise money for The Amalthea Trust; as part of his strict training regime, Danny O’Brien took part in the Malmesbury 10K Run on Saturday 31st August. Good luck to Mike, Danny, Terry, Luke, and Hugo who are all in get fit mode from now until May 2014 following a decision to run the Edinburgh Marathon in a bid to raise funds for The Amalthea Trust. 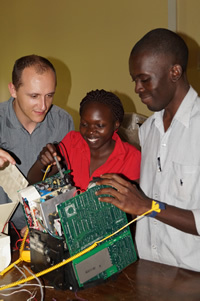 The Trust, which is supported by Hilditch, is a charity dedicated to the growth and improvement of Biomedical Engineering within developing countries. They are currently working on a collaborative project with Kyambogo University to train Medical Engineers through the provision of a diploma as part of the university's Electrical and Mechanical Engineering course. The project is in its second year and has enjoyed great success so far, going from strength to strength. The boys will be running a whopping 26.2 miles round Edinburgh on Sunday 25th May 2014 and training is (mostly) going well! You can have a look at the route they will be running. A Justgiving account will be set up soon so people can donate online, the link for which will be posted here so keep an eye out for it. In the meantime, if you want to give a few pennies to the cause just ask the Sales Team for our sponsorship form. 100% of everything we raise goes towards the charity and you can see exactly what your donation will be used for on the Amalthea website. Huge congratulations to our very own Matthew Smith who has been awarded Best Apprentice Engineer by Wiltshire College for a second year running. Matt started with us in February 2011 as part of his engineering apprenticeship with the college, and he is about to go into his third year of studies. Needless to say we are very proud of him. 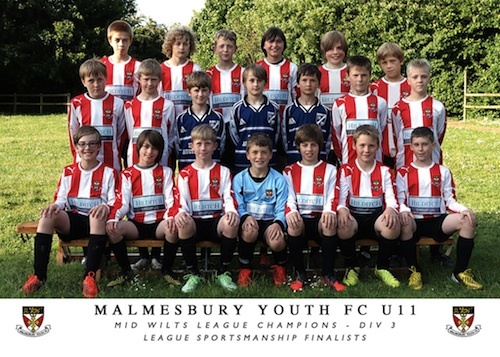 We are very proud of our sponsored Malmesbury U11's Youth Football Club who have had an excellent season. Not only were they finalists in the "Fair Play Awards" covering 5 Mid-Wiltshire Divisions in their age group, but they finished as Mid Wiltshire Division 3 Winners! We would like to think that our lucky shirts had something to do with this...?! 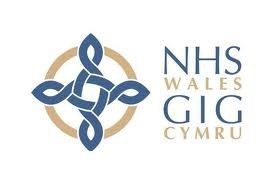 NHS WALES SHARED SERVICES PARTNERSHIP AWARDS CONTRACT FOR SUPPLY OF AUCTIONEER SERVICES FOR SURPLUS EQUIPMENT TO HILDITCH GROUP LTD.
We are delighted to announce we have been awarded the above contract, which formalizes the close relationship we have had with Welsh NHS Trusts over a number of years. The contract, which runs until 2016, covers all asset disposals and reflects our comprehensive offering to the NHS in the sale of all assets within healthcare settings – whether they be medical, plant and machinery, general or catering items. 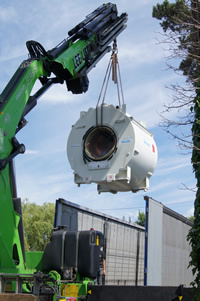 Hilditch Group's Fully Integrated Disposal Service means that Trusts have one port of call for anything they wish to dispose of, not just high value assets. We have sold a huge range of assets for Welsh NHS Trusts, from medical equipment to plant and machinery, and we look forward to continuing to maximise returns on their redundant assets. The Hilditch Group will be enjoying a strong start for 2013 having acquired six new NHS contracts over the course of 2012 in addition to the extension of a pre-existing one. Newham University Hospitals NHS Trust, Dorset County Hospital NHS Foundation Trust, County Durham & Darlington NHS Foundation Trust, NHS Grampian, NHS Greater Glasgow & Clyde, and West Hertfordshire Hospitals NHS Trust have all now joined the rapidly growing number of Trusts choosing to contract with us and, after three years of excellent service, Northampton General Hospital NHS Trust have decided to extend their contract by a further two years. With even more Trusts expected to sign up to our Integrated Disposal Policy, 2013 looks to be an exciting year for growth for us. Hilditch Group are proud to sponsor our local Under 11's football team. Mike, Nicky and all the staff wish them the best of luck for their forthcoming season. Auctioneer, Neill Saint, produced a marathon performance when he sold 600 lots of prime Olympic Village catering equipment on 31st January. The equipment was just 6 months old and in pristine condition and we were delighted to see lots of new customers tempted by the rare chance to buy barely used equipment at great prices. Top of the podium were a Zanolli Double Deck Mobile Conveyor Pizza Oven which sold for £5200, a Meiko Ecostar 530F Dishwasher for £1242, 4 Burner Ranges going for as much as £650 and Williams Double Door Bottle Chillers hitting the £500 mark. The Olympic catering effort was so huge – catering for over 22,000 people a day – that this is just the first of three sales of the kitchens: the next is to be held in April so watch this space for confirmation of the sale date. CONGRATULATIONS TO THE "BEST ENGINEER 2012"
Congratulations to our medical engineering apprentice, Matthew Smith, who has been awarded "Best Engineer" from the entire class of students for this year's course at Wiltshire College! The Hilditch Group have continued their support of both local and international charities by supporting Rebecca Jobes and her father with a donation of £1,000 towards their upcoming 100-mile sponsored walk. 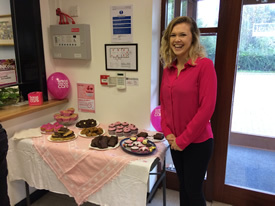 Our customers will know Becci as the Hilditch Group receptionist and the first smiling face they see when they visit our premises.The walk takes a circuit through local villages close to Malmesbury, following the same route that Becci’s father took 25 years ago in aid of local charities. The walk commences on the 1st of July and Becci is currently in training and says “I am stepping up my training as the day approaches and we would like to thank all those who have already sponsored us”. Hope for Tomorrow is a national cancer charity dedicated to bringing cancer treatment closer to home via mobile chemotherapy units. The fundraising will help support 'Kayleigh', Wiltshire’s mobile chemotherapy unit. CLIC Sargent is the UK’s leading cancer charity for children, young people and their families. If you would like to support Becci on her walk please contact us. As auctioneers we are, of course, the ultimate recyclers; but now we have gone even greener! After much hard work by Nicky Hilditch and Environmental Consultant Brunel Management, we have achieved our ISO: 14001 accreditation. This means that our customers are guaranteed that we maintain the highest environmental standards and are committed to year on year improvements. It is our aim to be carbon neutral by 2014! Our first step to this ambitious goal has been to install 20kwp Solar Photovoltaic Cells on the roof of the warehouse, which will generate 18k kwh/annum. The Hilditch Group have assisted Malmesbury local lad, Ben Anderson-Soule, with his fundraising efforts by donating £500 towards his fundraising initiative of opening his Grandparent’s garden to the public for the charity. Their beautiful local garden has, over the years, raised a substantial amount for various causes. Ben’s enthusiasm for this cause at the ripe old age of 10 impressed us all and we were happy to be able to assist such a worthy effort. The Bristol Children’s Hospital gives much needed care and support to both sick children and their parents, and Ben wanted to give something back following the care he has received over the years having being diagnosed with juvenile arthritis aged just 4 years old. HILDITCH GROUP WINS QUEENS AWARD FOR ENTERPRISE! This award recognises the year on year increase in exports by the Hilditch Group and confirms our position as market leaders for the sale of medical and other related equipment. Mike & Nicky Hilditch are absolutely delighted, and are very excited about the prospect of visiting Buckingham Palace to receive the award. The award judges recognised the hard work of the sales and marketing team promoting sales to overseas customers, sales to outside the UK account for over 80% of turnover. The judges were also impressed by the level of customer service at the salerooms. All this, of course, means that if you are one of our vendors you can be sure that you are getting the very best prices for your equipment possible. 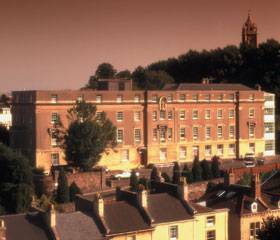 We are delighted to announce that the Medical Engineering Department has won a contract to supply Planned Preventative Maintenance (PPM) to 18 x GP Practices in North Somerset. 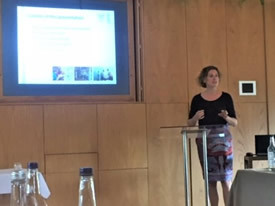 The Amalthea Trust held their first Forum on medical engineering in Africa at Calcot Manor on the 9th March ( to see a full report please click onto the Amalthea Trust website). The Amalthea Trust agrees to support Kyambogo University medical engineering course. The course is the first of its kind in Uganda and will hopefully help to alleviate the chronic shortage of medical engineers in the country. The Amalthea Trust has agreed to help refurbish several classrooms for workshops and provide an extensive range of test equipment, as well as trainers to provide practical courses on equipment maintenance.